Просто чудо. Господь с нами. Savourez cette prière et croyez en Dieu. ……ο Θεος να μας βοηθαει!!!….ΑΜΗΝ!!!…..τελειο!!!…. Di fronte a questo inno non possiamo che commuoverci e piangere per la divisione che ancora è presente tra tutti i Cristiani,scandali per i non credenti. Speriamo che lo Spirito Santo ci aiuti a ritrovare “un cuore solo e un’anima sola” come al tempo degli Apostoli. Tou Kyriou Deithomen, Kyrie Eleison. Christ came to save the sinners in unconditional love. We must as Orthodox Christians continue to pray for All non-Orthodox Christians that they may come to the knowledge of the True God and the True Faith. To this end we must love even our enemies who persecute us. ONLY through Love will we conquer the infidels. Remember that we have God to guide us in this journey of peace. Our Martyrs showed us the way to bring people to Christ and His ONE, HOLY, CATHOLIC AND APOSTOLIC CHURCH! [..YouTube..] Christ came to save the sinners in unconditional love. We must as Orthodox Christians continue to pray for All non-Orthodox Christians that they may come to the knowledge of the True God and the True Faith. To this end we must love even our enemies who persecute us. ONLY through Love will we conquer the infidels. Remember that we have God to guide us in this journey of peace. Our Martyrs showed us the way to bring people to Christ and His ONE, HOLY, CATHOLIC AND APOSTOLIC CHURCH! [..YouTube..] @Loiginer Christ came to save the sinners in unconditional love. We must as Orthodox Christians continue to pray for All non-Orthodox Christians that they may come to the knowledge of the True God and the True Faith. To this end we must love even our enemies who persecute us. ONLY through Love will we conquer the infidels. Remember that we have God to guide us in this journey of peace. Our Martyrs showed us the way to bring people to Christ and His ONE, HOLY, CATHOLIC AND APOSTOLIC CHURCH! ανατριχιασα ολοκληρος, ειδικα οταν εδειχνε και την αγια σοφια!!!!! I think that this must be an example for Christians that love ecumenism and other heresies!Orthodox Christian, as your name say, BE ORTHODOX, BE STRONG IN YOUR FAITH, let us fight for Christ, fight the good battle and don’t be “friends” of heretics or infidels!Orthodoxy or Death! [..YouTube..] I think that this must be an example for Christians that love ecumenism and other heresies!Orthodox Christian, as your name say, BE ORTHODOX, BE STRONG IN YOUR FAITH, let us fight for Christ, fight the good battle and don’t be “friends” of heretics or infidels!Orthodoxy or Death! [..YouTube..] @Glorthac I think that this must be an example for Christians that love ecumenism and other heresies!Orthodox Christian, as your name say, BE ORTHODOX, BE STRONG IN YOUR FAITH, let us fight for Christ, fight the good battle and don’t be “friends” of heretics or infidels!Orthodoxy﻿ or Death! [..YouTube..] @Glorthac I think that this must be an example for Christians that love ecumenism and other heresies!Orthodox﻿ Christian, as your name say, BE ORTHODOX, BE STRONG IN YOUR FAITH, let us fight for Christ, fight the good battle and don’t be “friends” of heretics or infidels!Orthodoxy or Death! [..YouTube..] @Glorthac I think that this must be an example for Christians that love ecumenism and other heresies!Orthodox Christian, as your name say, BE ORTHODOX, BE STRONG IN YOUR FAITH, let us fight for Christ, fight the good battle and don’t be﻿ “friends” of heretics or infidels!Orthodoxy or Death! [..YouTube..] @Glorthac I think that this must be an example for Christians that love ecumenism and other heresies!Orthodox Christian, as your name say, BE ORTHODOX, BE STRONG IN YOUR FAITH, let us fight﻿ for Christ, fight the good battle and don’t be “friends” of heretics or infidels!Orthodoxy or Death! [..YouTube..] @Glorthac I think that this must be an example for Christians that﻿ love ecumenism and other heresies!Orthodox Christian, as your name say, BE ORTHODOX, BE STRONG IN YOUR FAITH, let us fight for Christ, fight the good battle and don’t be “friends” of heretics or infidels!Orthodoxy or Death! [..YouTube..] @Glorthac I think that this must be an example for Christians that love ecumenism and other heresies!Orthodox Christian, as your name say, BE ORTHODOX, BE﻿ STRONG IN YOUR FAITH, let us fight for Christ, fight the good battle and don’t be “friends” of heretics or infidels!Orthodoxy or Death! [..YouTube..] @Glorthac I﻿ think that this must be an example for Christians that love ecumenism and other heresies!Orthodox Christian, as your name say, BE ORTHODOX, BE STRONG IN YOUR FAITH, let us fight for Christ, fight the good battle and don’t be “friends” of heretics or infidels!Orthodoxy or Death! [..YouTube..] @Glorthac I think that this must be an example for Christians that love ecumenism and other heresies!Orthodox Christian,﻿ as your name say, BE ORTHODOX, BE STRONG IN YOUR FAITH, let us fight for Christ, fight the good battle and don’t be “friends” of heretics or infidels!Orthodoxy or Death! [..YouTube..] @Glorthac I think that this must be an example for Christians that love ecumenism and other heresies!Orthodox Christian, as your name say, BE ORTHODOX, BE STRONG IN YOUR FAITH, let us fight for Christ, fight the good battle and﻿ don’t be “friends” of heretics or infidels!Orthodoxy or Death! [..YouTube..] @Glorthac I think that this must be an example for Christians that love ecumenism and other heresies!Orthodox Christian, as your﻿ name say, BE ORTHODOX, BE STRONG IN YOUR FAITH, let us fight for Christ, fight the good battle and don’t be “friends” of heretics or infidels!Orthodoxy or Death! [..YouTube..] @Glorthac I think that this must be an example for Christians that love﻿ ecumenism and other heresies!Orthodox Christian, as your name say, BE ORTHODOX, BE STRONG IN YOUR FAITH, let us fight for Christ, fight the good battle and don’t be “friends” of heretics or infidels!Orthodoxy or Death! [..YouTube..] @Glorthac I think that this must be an example for Christians that love ecumenism and other heresies!Orthodox Christian, as your name say, BE ORTHODOX, BE STRONG IN YOUR FAITH, let us fight for Christ, fight the good battle and don’t be “friends” of heretics or﻿ infidels!Orthodoxy or Death! [..YouTube..] @Glorthac I think that this must be an example for Christians that love ecumenism and other heresies!Orthodox Christian, as your name say,﻿ BE ORTHODOX, BE STRONG IN YOUR FAITH, let us fight for Christ, fight the good battle and don’t be “friends” of heretics or infidels!Orthodoxy or Death! [..YouTube..] @Glorthac I think that this must be an example for Christians that love ecumenism and﻿ other heresies!Orthodox Christian, as your name say, BE ORTHODOX, BE STRONG IN YOUR FAITH, let us fight for Christ, fight the good battle and don’t be “friends” of heretics or infidels!Orthodoxy or Death! [..YouTube..] @Glorthac I think that this must be an example for Christians that love ecumenism and other heresies!Orthodox Christian, as your name say, BE ORTHODOX, BE STRONG IN YOUR FAITH, let us fight for Christ, fight the﻿ good battle and don’t be “friends” of heretics or infidels!Orthodoxy or Death! [..YouTube..] @Glorthac I think that this must be an example for Christians that love ecumenism and other heresies!Orthodox Christian, as your name say, BE ORTHODOX, BE STRONG IN YOUR﻿ FAITH, let us fight for Christ, fight the good battle and don’t be “friends” of heretics or infidels!Orthodoxy or Death! [..YouTube..] @Glorthac I think that this must be an example﻿ for Christians that love ecumenism and other heresies!Orthodox Christian, as your name say, BE ORTHODOX, BE STRONG IN YOUR FAITH, let us fight for Christ, fight the good battle and don’t be “friends” of heretics or infidels!Orthodoxy or Death! [..YouTube..] @Glorthac I think that this must be an example for Christians that love ecumenism and other heresies!Orthodox Christian, as﻿ your name say, BE ORTHODOX, BE STRONG IN YOUR FAITH, let us fight for Christ, fight the good battle and don’t be “friends” of heretics or infidels!Orthodoxy or Death! [..YouTube..] @Glorthac I think that this must be﻿ an example for Christians that love ecumenism and other heresies!Orthodox Christian, as your name say, BE ORTHODOX, BE STRONG IN YOUR FAITH, let us fight for Christ, fight the good battle and don’t be “friends” of heretics or infidels!Orthodoxy or Death! [..YouTube..] @Glorthac I think that this must be an example for Christians that love ecumenism and other heresies!Orthodox Christian, as your name say, BE ORTHODOX, BE STRONG IN YOUR FAITH, let us fight for﻿ Christ, fight the good battle and don’t be “friends” of heretics or infidels!Orthodoxy or Death! [..YouTube..] @Glorthac I think that﻿ this must be an example for Christians that love ecumenism and other heresies!Orthodox Christian, as your name say, BE ORTHODOX, BE STRONG IN YOUR FAITH, let us fight for Christ, fight the good battle and don’t be “friends” of heretics or infidels!Orthodoxy or Death! [..YouTube..] @Glorthac I think that this must be an example for Christians that love ecumenism and other heresies!Orthodox Christian, as your name say, BE ORTHODOX, BE STRONG IN YOUR FAITH, let us fight for Christ,﻿ fight the good battle and don’t be “friends” of heretics or infidels!Orthodoxy or Death! [..YouTube..] @Glorthac I think that this must be an example for Christians that love ecumenism and other heresies!Orthodox Christian, as your name say, BE ORTHODOX, BE STRONG IN﻿ YOUR FAITH, let us fight for Christ, fight the good battle and don’t be “friends” of heretics or infidels!Orthodoxy or Death! [..YouTube..] @Glorthac I think that this must be an example for Christians that love ecumenism and other﻿ heresies!Orthodox Christian, as your name say, BE ORTHODOX, BE STRONG IN YOUR FAITH, let us fight for Christ, fight the good battle and don’t be “friends” of heretics or infidels!Orthodoxy or Death! [..YouTube..] @Glorthac I think that this must be an example for Christians that love ecumenism and other heresies!Orthodox Christian, as your name say, BE ORTHODOX, BE STRONG IN YOUR FAITH,﻿ let us fight for Christ, fight the good battle and don’t be “friends” of heretics or infidels!Orthodoxy or Death! [..YouTube..] @Glorthac I think that this must be an example for Christians that love ecumenism and other heresies!Orthodox Christian, as your name say, BE ORTHODOX,﻿ BE STRONG IN YOUR FAITH, let us fight for Christ, fight the good battle and don’t be “friends” of heretics or infidels!Orthodoxy or Death! [..YouTube..] @Glorthac I think that this must be an example for Christians that love ecumenism and other heresies!Orthodox Christian, as your name say, BE ORTHODOX, BE STRONG IN YOUR FAITH, let us fight for Christ, fight﻿ the good battle and don’t be “friends” of heretics or infidels!Orthodoxy or Death! [..YouTube..] @Glorthac I think that this must be an example for Christians that love ecumenism and other heresies!Orthodox Christian, as your name say, BE ORTHODOX, BE STRONG IN YOUR FAITH, let us fight for Christ, fight the good battle and don’t be “friends” of heretics or infidels!Orthodoxy or﻿ Death! [..YouTube..] @Glorthac I think that this must be an example for Christians that love ecumenism and other heresies!Orthodox Christian, as your name say, BE ORTHODOX, BE STRONG IN YOUR FAITH, let us fight for Christ, fight the good battle﻿ and don’t be “friends” of heretics or infidels!Orthodoxy or Death! [..YouTube..] @Glorthac I think that this must be an example for Christians that love ecumenism and other heresies!Orthodox Christian, as your name say, BE ORTHODOX, BE STRONG IN YOUR FAITH, let us fight for Christ, fight the good battle and don’t be “friends”﻿ of heretics or infidels!Orthodoxy or Death! [..YouTube..] @Glorthac I think that this must be an example for Christians that love ecumenism and other heresies!Orthodox Christian, as your name say, BE ORTHODOX, BE STRONG IN YOUR FAITH, let us fight for Christ, fight the good battle and don’t be “friends” of﻿ heretics or infidels!Orthodoxy or Death! [..YouTube..] @Glorthac I think that this must be an example for﻿ Christians that love ecumenism and other heresies!Orthodox Christian, as your name say, BE ORTHODOX, BE STRONG IN YOUR FAITH, let us fight for Christ, fight the good battle and don’t be “friends” of heretics or infidels!Orthodoxy or Death! [..YouTube..] @Glorthac I think that this must be an example for Christians﻿ that love ecumenism and other heresies!Orthodox Christian, as your name say, BE ORTHODOX, BE STRONG IN YOUR FAITH, let us fight for Christ, fight the good battle and don’t be “friends” of heretics or infidels!Orthodoxy or Death! [..YouTube..] @Glorthac I think that this must be an example for Christians that love ecumenism and other heresies!Orthodox Christian, as your name say, BE ORTHODOX, BE STRONG IN YOUR FAITH, let us fight for Christ, fight the good﻿ battle and don’t be “friends” of heretics or infidels!Orthodoxy or Death! [..YouTube..] @Glorthac I think that this must be an example for Christians that love ecumenism and other heresies!Orthodox Christian, as your name say, BE ORTHODOX, BE STRONG IN YOUR FAITH, let us﻿ fight for Christ, fight the good battle and don’t be “friends” of heretics or infidels!Orthodoxy or Death! [..YouTube..] @Glorthac I think﻿ that this must be an example for Christians that love ecumenism and other heresies!Orthodox Christian, as your name say, BE ORTHODOX, BE STRONG IN YOUR FAITH, let us fight for Christ, fight the good battle and don’t be “friends” of heretics or infidels!Orthodoxy or Death! [..YouTube..] @Glorthac I think that this﻿ must be an example for Christians that love ecumenism and other heresies!Orthodox Christian, as your name say, BE ORTHODOX, BE STRONG IN YOUR FAITH, let us fight for Christ, fight the good battle and don’t be “friends” of heretics or infidels!Orthodoxy or Death! [..YouTube..] @Glorthac I think that this must be an example for Christians that love ecumenism and other heresies!Orthodox Christian, as your name say, BE ORTHODOX, BE STRONG IN YOUR FAITH, let us fight for Christ, fight the good battle and don’t﻿ be “friends” of heretics or infidels!Orthodoxy or Death! [..YouTube..] @Glorthac I think that this must be an example for Christians that love ecumenism and other heresies!Orthodox Christian, as your name say, BE ORTHODOX, BE STRONG IN YOUR FAITH, let us fight for Christ, fight the good battle and don’t be “friends” of heretics﻿ or infidels!Orthodoxy or Death! [..YouTube..] @Glorthac I think that this must be an example for Christians that love ecumenism and other heresies!Orthodox Christian, as your name say, BE﻿ ORTHODOX, BE STRONG IN YOUR FAITH, let us fight for Christ, fight the good battle and don’t be “friends” of heretics or infidels!Orthodoxy or Death! [..YouTube..] @Glorthac﻿ I think that this must be an example for Christians that love ecumenism and other heresies!Orthodox Christian, as your name say, BE ORTHODOX, BE STRONG IN YOUR FAITH, let us fight for Christ, fight the good battle and don’t be “friends” of heretics or infidels!Orthodoxy or Death! [..YouTube..] @Glorthac I think that this must﻿ be an example for Christians that love ecumenism and other heresies!Orthodox Christian, as your name say, BE ORTHODOX, BE STRONG IN YOUR FAITH, let us fight for Christ, fight the good battle and don’t be “friends” of heretics or infidels!Orthodoxy or Death! [..YouTube..] @Glorthac I think that this must be an example for Christians that love ecumenism and other heresies!Orthodox Christian, as your name say, BE ORTHODOX, BE STRONG﻿ IN YOUR FAITH, let us fight for Christ, fight the good battle and don’t be “friends” of heretics or infidels!Orthodoxy or Death! [..YouTube..] @Glorthac I think that this must be an example for Christians that love ecumenism﻿ and other heresies!Orthodox Christian, as your name say, BE ORTHODOX, BE STRONG IN YOUR FAITH, let us fight for Christ, fight the good battle and don’t be “friends” of heretics or infidels!Orthodoxy or Death! [..YouTube..] @Glorthac I think that this must be an﻿ example for Christians that love ecumenism and other heresies!Orthodox Christian, as your name say, BE ORTHODOX, BE STRONG IN YOUR FAITH, let us fight for Christ, fight the good battle and don’t be “friends” of heretics or infidels!Orthodoxy or Death! [..YouTube..] @Glorthac I think that this must be an example for Christians that love ecumenism and other heresies!Orthodox Christian, as your name say, BE ORTHODOX, BE STRONG IN YOUR FAITH, let﻿ us fight for Christ, fight the good battle and don’t be “friends” of heretics or infidels!Orthodoxy or Death! [..YouTube..] @Glorthac I think that this must be an example for Christians that love ecumenism and other heresies!Orthodox Christian, as your name﻿ say, BE ORTHODOX, BE STRONG IN YOUR FAITH, let us fight for Christ, fight the good battle and don’t be “friends” of heretics or infidels!Orthodoxy or Death! [..YouTube..] @Glorthac I think that this must be an example for Christians that love ecumenism and other heresies!Orthodox Christian, as your name say, BE ORTHODOX, BE STRONG IN YOUR FAITH, let us fight for Christ, fight the good battle and don’t be “friends” of heretics or infidels!Orthodoxy or Death! The word means “unfaithful”, and He used it many times (check how many times that word appears in both the Old and New Testaments). Did He not also love the Pharisees, whom He referred to as Vipers and Sons of Satan, their Father? [..YouTube..] The word means “unfaithful”, and He used it many times (check how many times that word appears in both the Old and New Testaments). Did He not also love the Pharisees, whom He referred to as Vipers and Sons of Satan, their Father? [..YouTube..] @CyprusHot The word means “unfaithful”, and He used it many times (check how many times that word appears in both the Old and New Testaments). Did He not also love the Pharisees,﻿ whom He referred to as Vipers and Sons of Satan, their Father? [..YouTube..] @CyprusHot The word means “unfaithful”, and He used it many times (check how many times that word appears in both﻿ the Old and New Testaments). Did He not also love the Pharisees, whom He referred to as Vipers and Sons of Satan, their Father? [..YouTube..] @CyprusHot The word means “unfaithful”, and He used it many times (check how many times that word appears in both the Old and New Testaments). Did He not also love﻿ the Pharisees, whom He referred to as Vipers and Sons of Satan, their Father? [..YouTube..] @CyprusHot The word﻿ means “unfaithful”, and He used it many times (check how many times that word appears in both the Old and New Testaments). Did He not also love the Pharisees, whom He referred to as Vipers and Sons of Satan, their Father? [..YouTube..] @CyprusHot The word means “unfaithful”, and He used it many times (check how many times that word appears in both the Old and New Testaments). Did He not also love the Pharisees, whom He referred to as Vipers﻿ and Sons of Satan, their Father? [..YouTube..] @CyprusHot The word means “unfaithful”, and He used it many﻿ times (check how many times that word appears in both the Old and New Testaments). Did He not also love the Pharisees, whom He referred to as Vipers and Sons of Satan, their Father? [..YouTube..] @CyprusHot The word means “unfaithful”, and He used it many times (check how many times that word appears in both the Old and New Testaments). Did He not also﻿ love the Pharisees, whom He referred to as Vipers and Sons of Satan, their Father? [..YouTube..] @CyprusHot The word means “unfaithful”, and He used it many times (check how many times that word appears in﻿ both the Old and New Testaments). Did He not also love the Pharisees, whom He referred to as Vipers and Sons of Satan, their Father? [..YouTube..] @CyprusHot The word means “unfaithful”, and He used﻿ it many times (check how many times that word appears in both the Old and New Testaments). Did He not also love the Pharisees, whom He referred to as Vipers and Sons of Satan, their Father? [..YouTube..] @CyprusHot The word means “unfaithful”, and He used it many times (check how many times that word appears in both the Old and New Testaments). Did He not also love the Pharisees, whom He referred﻿ to as Vipers and Sons of Satan, their Father? [..YouTube..] @CyprusHot The word means “unfaithful”, and He used it many times (check how many﻿ times that word appears in both the Old and New Testaments). Did He not also love the Pharisees, whom He referred to as Vipers and Sons of Satan, their Father? [..YouTube..] @CyprusHot The word means “unfaithful”, and He used it many times (check how many times that word appears in both the Old and New﻿ Testaments). Did He not also love the Pharisees, whom He referred to as Vipers and Sons of Satan, their Father? [..YouTube..] @CyprusHot The word means “unfaithful”, and﻿ He used it many times (check how many times that word appears in both the Old and New Testaments). Did He not also love the Pharisees, whom He referred to as Vipers and Sons of Satan, their Father? [..YouTube..] @CyprusHot The word means “unfaithful”, and He used it many times (check how many times that word appears in both the Old and New Testaments). Did He not also love the Pharisees, whom He referred to as Vipers and Sons of Satan, their﻿ Father? [..YouTube..] @CyprusHot The word means “unfaithful”,﻿ and He used it many times (check how many times that word appears in both the Old and New Testaments). Did He not also love the Pharisees, whom He referred to as Vipers and Sons of Satan, their Father? [..YouTube..] @CyprusHot The word means “unfaithful”, and He used it many times (check how many times that word appears﻿ in both the Old and New Testaments). Did He not also love the Pharisees, whom He referred to as Vipers and Sons of Satan, their Father? [..YouTube..] @CyprusHot The﻿ word means “unfaithful”, and He used it many times (check how many times that word appears in both the Old and New Testaments). Did He not also love the Pharisees, whom He referred to as Vipers and Sons of Satan, their Father? [..YouTube..] @CyprusHot The word means “unfaithful”, and He used it many times (check how many times that word appears in both the Old and New Testaments). Did He not also love the Pharisees, whom He referred to as﻿ Vipers and Sons of Satan, their Father? [..YouTube..] @CyprusHot The word means “unfaithful”, and He used it many times (check how many times that word appears in both the Old and New Testaments). Did He not also love the Pharisees, whom He referred to as Vipers and﻿ Sons of Satan, their Father? [..YouTube..] @CyprusHot The word means﻿ “unfaithful”, and He used it many times (check how many times that word appears in both the Old and New Testaments). Did He not also love the Pharisees, whom He referred to as Vipers and Sons of Satan, their Father? [..YouTube..] @CyprusHot The word means “unfaithful”, and He used it many times (check how many times that word appears in both the Old and﻿ New Testaments). Did He not also love the Pharisees, whom He referred to as Vipers and Sons of Satan, their Father? [..YouTube..] @CyprusHot The word means “unfaithful”, and He used it many times (check how many times that word﻿ appears in both the Old and New Testaments). Did He not also love the Pharisees, whom He referred to as Vipers and Sons of Satan, their Father? [..YouTube..] @CyprusHot The word means “unfaithful”, and He used it many times (check how many times that word appears in both the Old and New Testaments). Did He not also love the Pharisees, whom He referred to as Vipers and Sons﻿ of Satan, their Father? [..YouTube..] @CyprusHot The word means “unfaithful”, and He used it many times (check how many times that﻿ word appears in both the Old and New Testaments). Did He not also love the Pharisees, whom He referred to as Vipers and Sons of Satan, their Father? [..YouTube..] @CyprusHot﻿ The word means “unfaithful”, and He used it many times (check how many times that word appears in both the Old and New Testaments). Did He not also love the Pharisees, whom He referred to as Vipers and Sons of Satan, their Father? [..YouTube..] @CyprusHot The word means “unfaithful”, and He used it many times (check how many times that word appears in both the Old and New Testaments). Did He﻿ not also love the Pharisees, whom He referred to as Vipers and Sons of Satan, their Father? [..YouTube..] @CyprusHot The word means “unfaithful”, and He used it many times (check how many times that word appears in both the﻿ Old and New Testaments). Did He not also love the Pharisees, whom He referred to as Vipers and Sons of Satan, their Father? [..YouTube..] @CyprusHot The word means “unfaithful”, and He used it many times (check how many times that word appears in both the Old and New Testaments). Did He not also love the Pharisees, whom He referred to﻿ as Vipers and Sons of Satan, their Father? [..YouTube..] @CyprusHot The word means “unfaithful”, and He used it many times﻿ (check how many times that word appears in both the Old and New Testaments). Did He not also love the Pharisees, whom He referred to as Vipers and Sons of Satan, their Father? [..YouTube..] @CyprusHot The word means “unfaithful”, and He used it many times (check how many times﻿ that word appears in both the Old and New Testaments). Did He not also love the Pharisees, whom He referred to as Vipers and Sons of Satan, their Father? [..YouTube..] @CyprusHot The word means “unfaithful”, and He used it many times (check how many times that word appears in both the Old and New Testaments). Did He not also love the Pharisees, whom He referred to as Vipers and Sons of﻿ Satan, their Father? [..YouTube..] @CyprusHot The word means “unfaithful”, and He used it many times (check how many times that word appears in both the Old and New Testaments). Did He not also love the Pharisees, whom He referred to as Vipers and Sons of Satan,﻿ their Father? [..YouTube..] @CyprusHot The word means “unfaithful”, and He used it many times (check how many times that word appears in both the Old and New Testaments). Did He not also love the Pharisees, whom He﻿ referred to as Vipers and Sons of Satan, their Father? [..YouTube..] @CyprusHot The word means “unfaithful”, and He used it many times (check﻿ how many times that word appears in both the Old and New Testaments). Did He not also love the Pharisees, whom He referred to as Vipers and Sons of Satan, their Father? [..YouTube..] @CyprusHot The word means “unfaithful”, and He﻿ used it many times (check how many times that word appears in both the Old and New Testaments). Did He not also love the Pharisees, whom He referred to as Vipers and Sons of Satan, their Father? [..YouTube..] @CyprusHot The word means “unfaithful”, and He used it many times (check how many times that word appears in both the Old and New Testaments). Did He not also love the﻿ Pharisees, whom He referred to as Vipers and Sons of Satan, their Father? [..YouTube..] @CyprusHot The word means “unfaithful”, and He used it many times (check how many times that word appears in both the Old and New Testaments). Did﻿ He not also love the Pharisees, whom He referred to as Vipers and Sons of Satan, their Father? [..YouTube..] @CyprusHot The word means “unfaithful”, and He used it many times (check how many times that word appears in both the Old and New Testaments). Did He not﻿ also love the Pharisees, whom He referred to as Vipers and Sons of Satan, their Father? [..YouTube..] @CyprusHot The word means “unfaithful”, and He used it many times (check how many times that word appears in both the Old﻿ and New Testaments). Did He not also love the Pharisees, whom He referred to as Vipers and Sons of Satan, their Father? [..YouTube..] @CyprusHot The word means “unfaithful”, and He used it many times (check how many times that word appears in both the Old and New Testaments). Did He not also love the Pharisees, whom﻿ He referred to as Vipers and Sons of Satan, their Father? [..YouTube..] @CyprusHot The word means “unfaithful”, and He used it﻿ many times (check how many times that word appears in both the Old and New Testaments). Did He not also love the Pharisees, whom He referred to as Vipers and Sons of Satan, their Father? [..YouTube..] @CyprusHot The word means “unfaithful”, and He used it many times (check how﻿ many times that word appears in both the Old and New Testaments). Did He not also love the Pharisees, whom He referred to as Vipers and Sons of Satan, their Father? [..YouTube..] @CyprusHot The word means “unfaithful”, and He used it many times (check how many times that word appears in both the Old and New Testaments).﻿ Did He not also love the Pharisees, whom He referred to as Vipers and Sons of Satan, their Father? [..YouTube..] @CyprusHot The word means “unfaithful”, and He used it many times (check how many times that word appears in both the Old and New Testaments). Did He not also love the Pharisees, whom He referred to as Vipers and Sons of Satan, their Father? [..YouTube..] where is the first one? [..YouTube..] Lord, return us Hagia Sophia from the infidels!!! Υπεροχο, μπραβο Παναγιὠτη .Ψαλλεις και τον Σακελλαρἰδη οπως ολους τοὐς μουσουργοὐς υπεροχα.Πἀντα να θυμασαι τὀ εξης. ΤΟ ΠΑΛΙΟ ΚΡΑΣΙ, ΤΟ ΠΑΛΙΟ ΒΙΟΛΙ ΚΑΙ Ο ΑΞΕΧΑΣΤΟΣ ΣΑΚΕΛΛΑΡΙΔΗΣ , ελεγαν οι παπποὐδες μας. [..YouTube..] Υπεροχο, μπραβο Παναγιὠτη .Ψαλλεις και τον Σακελλαρἰδη οπως ολους τοὐς μουσουργοὐς υπεροχα.Πἀντα να θυμασαι τὀ εξης. ΤΟ ΠΑΛΙΟ ΚΡΑΣΙ, ΤΟ ΠΑΛΙΟ ΒΙΟΛΙ ΚΑΙ Ο ΑΞΕΧΑΣΤΟΣ ΣΑΚΕΛΛΑΡΙΔΗΣ , ελεγαν οι παπποὐδες μας. Evil is selfdestuctive because nothing good comes out of evil. So seat back and relax and watch the idiots burn themselves each other out. XRISTOS ANESTI. [..YouTube..] Evil is selfdestuctive because nothing good comes out of evil. So seat back and relax and watch the idiots burn themselves each other out. 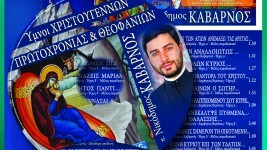 XRISTOS ANESTI. O, Joyful Light!O, Joyful Light! The Holy Glory of the Heavenly Father Immortal, the Holy Blessed One Jesus Christ. We come now to the hour of sunset and we behold the evening light! We praise God, the Father and Son and Holy Spirit in one. It is fitting at all times that we should praise You with gladsome voices, O Son of God, the Giver of Life. Behold, all creation sings Your glory! [..YouTube..] O, Joyful Light!O, Joyful Light! The Holy﻿ Glory of the Heavenly Father Immortal, the Holy Blessed One Jesus Christ. We come now to the hour of sunset and we behold the evening light! We praise God, the Father and Son and Holy Spirit in one. It is fitting at all times that we should praise You with gladsome voices, O Son of God, the Giver of Life. Behold, all creation sings Your glory! [..YouTube..] O, Joyful Light!O, Joyful Light! The Holy Glory of the Heavenly Father Immortal, the Holy Blessed One Jesus Christ.﻿ We come now to the hour of sunset and we behold the evening light! We praise God, the Father and Son and Holy Spirit in one. It is fitting at all times that we should praise You with gladsome voices, O Son of God, the Giver of Life. Behold, all creation sings Your glory! [..YouTube..] O, Joyful Light!O, Joyful Light! The Holy Glory of the Heavenly Father Immortal, the Holy Blessed One Jesus Christ. We come now to the hour﻿ of sunset and we behold the evening light! We praise God, the Father and Son and Holy Spirit in one. It is fitting at all times that we should praise You with gladsome voices, O Son of God, the Giver of Life. Behold, all creation sings Your glory! [..YouTube..] O,﻿ Joyful Light!O, Joyful Light! The Holy Glory of the Heavenly Father Immortal, the Holy Blessed One Jesus Christ. We come now to the hour of sunset and we behold the evening light! We praise God, the Father and Son and Holy Spirit in one. It is fitting at all times that we should praise You with gladsome voices, O Son of God, the Giver of Life. Behold, all creation sings Your glory! [..YouTube..] O, Joyful Light!O, Joyful Light! The Holy Glory of the Heavenly Father Immortal, the Holy Blessed One Jesus Christ. We come now to the hour of sunset and we behold the evening light! We praise God, the Father and Son and Holy Spirit in one. It is fitting at all times that we should praise You with gladsome﻿ voices, O Son of God, the Giver of Life. Behold, all creation sings Your glory! [..YouTube..] O, Joyful Light!O, Joyful Light! The Holy Glory of the Heavenly Father Immortal, the Holy Blessed One Jesus Christ. We come now to the hour of sunset and we behold the evening light! We praise God, the Father and Son and Holy Spirit in one. It is fitting at all times that we should﻿ praise You with gladsome voices, O Son of God, the Giver of Life. Behold, all creation sings Your glory! [..YouTube..] O, Joyful Light!O, Joyful Light! The Holy Glory of the Heavenly Father Immortal, the Holy Blessed One Jesus Christ. We come now to the hour of sunset and we behold the evening light! We praise God, the Father and Son and Holy Spirit in one. It is fitting at all times that we should praise You with gladsome voices, O Son of God, the Giver of Life. Behold,﻿ all creation sings Your glory! [..YouTube..] O, Joyful Light!O, Joyful Light! The Holy Glory of the Heavenly Father Immortal, the Holy Blessed One Jesus Christ. We come now to the hour of sunset and we behold the evening light! We praise God, the Father and Son and Holy Spirit in one. It is fitting at all times that we should praise You with gladsome voices, O Son of God, the Giver of Life. Behold, all creation﻿ sings Your glory! [..YouTube..] O, Joyful Light!O, Joyful Light! The Holy Glory of the Heavenly Father Immortal, the Holy Blessed One Jesus Christ. We come now to the hour of sunset and we behold the evening light! We praise God, the Father and Son and Holy Spirit in one. It is fitting at all times that﻿ we should praise You with gladsome voices, O Son of God, the Giver of Life. Behold, all creation sings Your glory! [..YouTube..] O, Joyful Light!O, Joyful Light! The Holy Glory of the Heavenly Father Immortal, the Holy Blessed One Jesus Christ. We come now to the hour of sunset and we behold the evening light! We praise God,﻿ the Father and Son and Holy Spirit in one. It is fitting at all times that we should praise You with gladsome voices, O Son of God, the Giver of Life. Behold, all creation sings Your glory! [..YouTube..] O, Joyful Light!O, Joyful Light! The Holy Glory of the Heavenly Father Immortal, the Holy Blessed One Jesus﻿ Christ. We come now to the hour of sunset and we behold the evening light! We praise God, the Father and Son and Holy Spirit in one. It is fitting at all times that we should praise You with gladsome voices, O Son of God, the Giver of Life. Behold, all creation sings Your glory! [..YouTube..] O, Joyful Light!O, Joyful Light! The Holy Glory of the Heavenly Father Immortal, the Holy Blessed One Jesus Christ. We come now to the hour of sunset and we behold the evening light! We﻿ praise God, the Father and Son and Holy Spirit in one. It is fitting at all times that we should praise You with gladsome voices, O Son of God, the Giver of Life. Behold, all creation sings Your glory! [..YouTube..] O, Joyful Light!O, Joyful Light! The Holy Glory of the Heavenly Father Immortal, the Holy Blessed One Jesus Christ. We come now to the hour of sunset and we behold the evening light! We praise God, the Father and Son and Holy Spirit in one. It is fitting at all times that we should praise You with gladsome voices, O Son of God, the Giver of Life. Behold, all﻿ creation sings Your glory! [..YouTube..] O, Joyful Light!O, Joyful Light! The Holy Glory of the Heavenly Father Immortal, the Holy Blessed One Jesus Christ. We come now to the hour of sunset and we behold the evening light! We praise God, the Father and Son and Holy Spirit in one. It is fitting at all times that we should praise You with gladsome voices,﻿ O Son of God, the Giver of Life. Behold, all creation sings Your glory! [..YouTube..] O, Joyful Light!O, Joyful Light! The Holy Glory of the Heavenly Father Immortal, the Holy Blessed One Jesus Christ. We come now to the hour of sunset and we behold the evening light! We praise God, the Father and Son and Holy﻿ Spirit in one. It is fitting at all times that we should praise You with gladsome voices, O Son of God, the Giver of Life. Behold, all creation sings Your glory! [..YouTube..] O, Joyful Light!O, Joyful Light! The Holy Glory of the Heavenly Father Immortal, the Holy Blessed One Jesus Christ. We come now to the hour of sunset and we behold the evening light! We praise God, the Father and Son and Holy Spirit in one. It is fitting at all times that we should praise You with gladsome voices, O Son of﻿ God, the Giver of Life. Behold, all creation sings Your glory! [..YouTube..] O, Joyful Light!O, Joyful Light! The Holy Glory of the Heavenly Father Immortal, the Holy Blessed One Jesus Christ. We come now to the hour of sunset and we behold the evening light! We praise God, the Father and Son and﻿ Holy Spirit in one. It is fitting at all times that we should praise You with gladsome voices, O Son of God, the Giver of Life. Behold, all creation sings Your glory! [..YouTube..] O, Joyful Light!O, Joyful Light! The Holy Glory of the Heavenly Father Immortal, the Holy Blessed One Jesus Christ. We come now to the hour of sunset and we behold the evening light! We praise God, the Father and Son and Holy Spirit in one. It is fitting at all times that we should praise You with﻿ gladsome voices, O Son of God, the Giver of Life. Behold, all creation sings Your glory! [..YouTube..] O, Joyful Light!O, Joyful Light! The Holy Glory of the Heavenly Father Immortal, the Holy Blessed One Jesus Christ. We come now to the hour of sunset and we behold the evening light! We praise God, the Father and Son and Holy Spirit in one. It is fitting at all times that we should praise You with gladsome voices, O Son of God, the Giver of Life. Behold, all creation sings Your﻿ glory! [..YouTube..] O, Joyful Light!O, Joyful Light! The Holy Glory of the Heavenly Father Immortal, the Holy Blessed One Jesus Christ. We come now to the hour of sunset and we behold the evening light! We praise God, the Father and Son and Holy Spirit in﻿ one. It is fitting at all times that we should praise You with gladsome voices, O Son of God, the Giver of Life. Behold, all creation sings Your glory! [..YouTube..] O, Joyful Light!O, Joyful Light! The Holy Glory of﻿ the Heavenly Father Immortal, the Holy Blessed One Jesus Christ. We come now to the hour of sunset and we behold the evening light! We praise God, the Father and Son and Holy Spirit in one. It is fitting at all times that we should praise You with gladsome voices, O Son of God, the Giver of Life. Behold, all creation sings Your glory! [..YouTube..] O, Joyful Light!O, Joyful Light! The Holy Glory of the Heavenly Father Immortal, the Holy Blessed One Jesus Christ. We come now to the hour of﻿ sunset and we behold the evening light! We praise God, the Father and Son and Holy Spirit in one. It is fitting at all times that we should praise You with gladsome voices, O Son of God, the Giver of Life. Behold, all creation sings Your glory! [..YouTube..] O, Joyful Light!O, Joyful Light! The Holy Glory of the Heavenly Father Immortal, the Holy Blessed One Jesus Christ. We﻿ come now to the hour of sunset and we behold the evening light! We praise God, the Father and Son and Holy Spirit in one. It is fitting at all times that we should praise You with gladsome voices, O Son of God, the Giver of Life. Behold, all creation sings Your glory! [..YouTube..] O, Joyful Light!O, Joyful Light! The Holy Glory of the Heavenly Father Immortal, the Holy Blessed One Jesus Christ. We come now to the hour of sunset and we behold the﻿ evening light! We praise God, the Father and Son and Holy Spirit in one. It is fitting at all times that we should praise You with gladsome voices, O Son of God, the Giver of Life. Behold, all creation sings Your glory! [..YouTube..] O, Joyful Light!O, Joyful Light! The Holy Glory of the Heavenly Father Immortal, the Holy Blessed One Jesus Christ. We come now to the hour of sunset and we behold the evening light! We praise God, the Father and Son and Holy Spirit in one.﻿ It is fitting at all times that we should praise You with gladsome voices, O Son of God, the Giver of Life. Behold, all creation sings Your glory! [..YouTube..] O, Joyful Light!O, Joyful Light! The Holy Glory of the Heavenly Father Immortal, the Holy Blessed One Jesus Christ. We come now to the hour of sunset and we behold the evening﻿ light! We praise God, the Father and Son and Holy Spirit in one. It is fitting at all times that we should praise You with gladsome voices, O Son of God, the Giver of Life. Behold, all creation sings Your glory! [..YouTube..] O, Joyful Light!O, Joyful Light! The Holy Glory of the Heavenly Father Immortal, the Holy Blessed One Jesus Christ. We come now to the hour of sunset and we behold the evening light! We praise God, the Father and Son and Holy Spirit in one. It is﻿ fitting at all times that we should praise You with gladsome voices, O Son of God, the Giver of Life. Behold, all creation sings Your glory! [..YouTube..] O, Joyful Light!O, Joyful Light! The Holy Glory of the Heavenly Father Immortal, the Holy Blessed One Jesus Christ. We come now to the hour of sunset and we behold the evening light! We praise God, the Father and Son and Holy Spirit in one. It is fitting at all times that we should praise You with gladsome voices, O﻿ Son of God, the Giver of Life. Behold, all creation sings Your glory! [..YouTube..] O, Joyful Light!O, Joyful Light! The Holy Glory﻿ of the Heavenly Father Immortal, the Holy Blessed One Jesus Christ. We come now to the hour of sunset and we behold the evening light! We praise God, the Father and Son and Holy Spirit in one. It is fitting at all times that we should praise You with gladsome voices, O Son of God, the Giver of Life. Behold, all creation sings Your glory! [..YouTube..] O, Joyful Light!O, Joyful Light! The Holy Glory of the Heavenly Father Immortal, the Holy Blessed One Jesus Christ. We come now﻿ to the hour of sunset and we behold the evening light! We praise God, the Father and Son and Holy Spirit in one. It is fitting at all times that we should praise You with gladsome voices, O Son of God, the Giver of Life. Behold, all creation sings Your glory! [..YouTube..] O, Joyful Light!O, Joyful Light! The Holy Glory of the Heavenly Father Immortal, the Holy Blessed One Jesus Christ. We come now to﻿ the hour of sunset and we behold the evening light! We praise God, the Father and Son and Holy Spirit in one. It is fitting at all times that we should praise You with gladsome voices, O Son of God, the Giver of Life. Behold, all creation sings Your glory! [..YouTube..] O, Joyful Light!O, Joyful Light! The Holy Glory of the Heavenly Father Immortal, the Holy Blessed One Jesus Christ. We come now to the hour of sunset and we behold the evening light! We praise God, the Father and Son and Holy Spirit in one. It﻿ is fitting at all times that we should praise You with gladsome voices, O Son of God, the Giver of Life. Behold, all creation sings Your glory! [..YouTube..] O, Joyful Light!O, Joyful Light! The Holy Glory of the Heavenly Father Immortal, the Holy Blessed One Jesus Christ. We come now to the﻿ hour of sunset and we behold the evening light! We praise God, the Father and Son and Holy Spirit in one. It is fitting at all times that we should praise You with gladsome voices, O Son of God, the Giver of Life. Behold, all creation sings Your glory! [..YouTube..] O, Joyful Light!O, Joyful Light! The Holy Glory of the Heavenly Father Immortal, the Holy Blessed One﻿ Jesus Christ. We come now to the hour of sunset and we behold the evening light! We praise God, the Father and Son and Holy Spirit in one. It is fitting at all times that we should praise You with gladsome voices, O Son of God, the Giver of Life. Behold, all creation sings Your glory! [..YouTube..] O, Joyful Light!O, Joyful﻿ Light! The Holy Glory of the Heavenly Father Immortal, the Holy Blessed One Jesus Christ. We come now to the hour of sunset and we behold the evening light! We praise God, the Father and Son and Holy Spirit in one. It is fitting at all times that we should praise You with gladsome voices, O Son of God, the Giver of Life. Behold, all creation sings Your glory! [..YouTube..] O, Joyful Light!O, Joyful Light! The Holy Glory of the Heavenly Father Immortal, the Holy Blessed One Jesus Christ. We come now to the hour of sunset and we behold the evening light! We praise God, the Father and Son and Holy Spirit in one. It is fitting﻿ at all times that we should praise You with gladsome voices, O Son of God, the Giver of Life. Behold, all creation sings Your glory! [..YouTube..] O, Joyful Light!O, Joyful Light! The Holy Glory of the Heavenly Father Immortal,﻿ the Holy Blessed One Jesus Christ. We come now to the hour of sunset and we behold the evening light! We praise God, the Father and Son and Holy Spirit in one. It is fitting at all times that we should praise You with gladsome voices, O Son of God, the Giver of Life. Behold, all creation sings Your glory! [..YouTube..] O, Joyful Light!O, Joyful Light! The Holy Glory of the Heavenly Father Immortal, the Holy Blessed One Jesus Christ. We come now to the hour of sunset and we behold the evening light! We praise God, the Father and Son and Holy Spirit in one. It is fitting at all times that we should praise You with gladsome voices, O Son of God, the﻿ Giver of Life. Behold, all creation sings Your glory! [..YouTube..] O, Joyful Light!O, Joyful Light! The Holy Glory of the Heavenly Father Immortal, the Holy Blessed One Jesus Christ. We come now to the hour of sunset and we behold the evening light!﻿ We praise God, the Father and Son and Holy Spirit in one. It is fitting at all times that we should praise You with gladsome voices, O Son of God, the Giver of Life. Behold, all creation sings Your glory! [..YouTube..] O, Joyful Light!O, Joyful Light! The Holy Glory of the Heavenly Father Immortal, the Holy Blessed One Jesus Christ. We come now to the hour of sunset and﻿ we behold the evening light! We praise God, the Father and Son and Holy Spirit in one. It is fitting at all times that we should praise You with gladsome voices, O Son of God, the Giver of Life. Behold, all creation sings Your glory! [..YouTube..] O, Joyful Light!O, Joyful Light! The Holy Glory of the Heavenly Father Immortal, the Holy Blessed One Jesus Christ. We come now to the hour of sunset and we behold the evening light! We praise God, the Father and Son and Holy Spirit in one. It is fitting at all times that we should praise You﻿ with gladsome voices, O Son of God, the Giver of Life. Behold, all creation sings Your glory! [..YouTube..] O, Joyful Light!O, Joyful Light! The Holy Glory of the Heavenly Father Immortal, the Holy Blessed One Jesus Christ. We come now to the hour of sunset and we behold the evening light! We praise God, the Father and Son and Holy Spirit in one. It is fitting at all times that we﻿ should praise You with gladsome voices, O Son of God, the Giver of Life. Behold, all creation sings Your glory! [..YouTube..] O, Joyful Light!O, Joyful Light! The﻿ Holy Glory of the Heavenly Father Immortal, the Holy Blessed One Jesus Christ. We come now to the hour of sunset and we behold the evening light! We praise God, the Father and Son and Holy Spirit in one. It is fitting at all times that we should praise You with gladsome voices, O Son of God, the Giver of Life. Behold, all creation sings Your glory! [..YouTube..] O, Joyful Light!O, Joyful Light! The Holy Glory of the Heavenly﻿ Father Immortal, the Holy Blessed One Jesus Christ. We come now to the hour of sunset and we behold the evening light! We praise God, the Father and Son and Holy Spirit in one. It is fitting at all times that we should praise You with gladsome voices, O Son of God, the Giver of Life. Behold, all creation sings Your glory! [..YouTube..] O, Joyful Light!O, Joyful Light! The Holy Glory of the Heavenly Father Immortal, the Holy Blessed One Jesus Christ. We come now to the hour of sunset and we behold the evening light! We praise God, the﻿ Father and Son and Holy Spirit in one. It is fitting at all times that we should praise You with gladsome voices, O Son of God, the Giver of Life. Behold, all creation sings Your glory! [..YouTube..] O, Joyful Light!O, Joyful Light! The Holy Glory of the Heavenly Father Immortal, the Holy Blessed One Jesus Christ. We come now to the hour of sunset and we behold the evening light! We praise God, the Father and Son and Holy Spirit in one. It is fitting at all times that we should praise﻿ You with gladsome voices, O Son of God, the Giver of Life. Behold, all creation sings Your glory! [..YouTube..] O, Joyful Light!O, Joyful Light! The Holy Glory of the Heavenly Father Immortal, the Holy﻿ Blessed One Jesus Christ. We come now to the hour of sunset and we behold the evening light! We praise God, the Father and Son and Holy Spirit in one. It is fitting at all times that we should praise You with gladsome voices, O Son of God, the Giver of Life. Behold, all creation sings Your glory! [..YouTube..] O, Joyful Light!O, Joyful Light! The Holy Glory of the Heavenly Father Immortal, the Holy Blessed One Jesus Christ. We come now to the hour of sunset and we behold the evening light! We praise God, the Father and Son and Holy Spirit in one. It is fitting at all times that we should praise You with gladsome voices, O Son of God, the Giver of Life.﻿ Behold, all creation sings Your glory! [..YouTube..] O, Joyful Light!O, Joyful Light! The Holy Glory of the Heavenly Father Immortal, the Holy Blessed One Jesus Christ. We come now to the hour of sunset and we behold the evening light! We praise God, the Father and Son and Holy Spirit﻿ in one. It is fitting at all times that we should praise You with gladsome voices, O Son of God, the Giver of Life. Behold, all creation sings Your glory! [..YouTube..] O, Joyful Light!O, Joyful Light! The Holy Glory of the Heavenly Father Immortal, the Holy Blessed One Jesus Christ. We come now to the hour of sunset and we behold the evening light! We praise God, the Father and Son and Holy Spirit in one. It is fitting at﻿ all times that we should praise You with gladsome voices, O Son of God, the Giver of Life. Behold, all creation sings Your glory! [..YouTube..] O, Joyful Light!O, Joyful Light! The Holy Glory of the Heavenly Father Immortal, the Holy Blessed One Jesus Christ. We come now to the hour of sunset and we behold the evening light! We praise God, the Father and Son and Holy Spirit in one. It is fitting at all times that we should praise You with gladsome voices, O Son﻿ of God, the Giver of Life. Behold, all creation sings Your glory! [..YouTube..] O, Joyful Light!O, Joyful Light! The Holy Glory of the Heavenly Father Immortal, the Holy Blessed One Jesus Christ. We come now to the hour of sunset﻿ and we behold the evening light! We praise God, the Father and Son and Holy Spirit in one. It is fitting at all times that we should praise You with gladsome voices, O Son of God, the Giver of Life. Behold, all creation sings Your glory! [..YouTube..] O, Joyful Light!O, Joyful Light! The Holy Glory of the Heavenly Father Immortal, the Holy Blessed One Jesus Christ. We come now to the hour of sunset and we behold the evening light! We praise God, the Father and﻿ Son and Holy Spirit in one. It is fitting at all times that we should praise You with gladsome voices, O Son of God, the Giver of Life. Behold, all creation sings Your glory! [..YouTube..] O, Joyful Light!O, Joyful Light! The Holy Glory of the Heavenly Father Immortal, the Holy Blessed﻿ One Jesus Christ. We come now to the hour of sunset and we behold the evening light! We praise God, the Father and Son and Holy Spirit in one. It is fitting at all times that we should praise You with gladsome voices, O Son of God, the Giver of Life. Behold, all creation sings Your glory! [..YouTube..] O, Joyful Light!O, Joyful Light! The Holy Glory of the﻿ Heavenly Father Immortal, the Holy Blessed One Jesus Christ. We come now to the hour of sunset and we behold the evening light! We praise God, the Father and Son and Holy Spirit in one. It is fitting at all times that we should praise You with gladsome voices, O Son of God, the Giver of Life. Behold, all creation sings Your glory! [..YouTube..] O, Joyful Light!O, Joyful Light! The Holy Glory of the Heavenly Father Immortal, the Holy Blessed One Jesus Christ. We come now to the hour of sunset and we behold the evening light! We praise God, the Father and Son and Holy Spirit in one. It is fitting at all times that we should praise You with gladsome voices, O Son of God,﻿ the Giver of Life. Behold, all creation sings Your glory! [..YouTube..] O, Joyful Light!O, Joyful Light! The Holy Glory of the Heavenly Father Immortal, the Holy Blessed One Jesus Christ. We come﻿ now to the hour of sunset and we behold the evening light! We praise God, the Father and Son and Holy Spirit in one. It is fitting at all times that we should praise You with gladsome voices, O Son of God, the Giver of Life. Behold, all creation sings Your glory! [..YouTube..] O, Joyful﻿ Light!O, Joyful Light! The Holy Glory of the Heavenly Father Immortal, the Holy Blessed One Jesus Christ. We come now to the hour of sunset and we behold the evening light! We praise God, the Father and Son and Holy Spirit in one. It is fitting at all times that we should praise You with gladsome voices, O Son of God, the Giver of Life. Behold, all creation sings Your glory! [..YouTube..] O, Joyful Light!O, Joyful Light! The Holy Glory of the Heavenly Father Immortal, the Holy Blessed One Jesus Christ. We come now to the hour of sunset and we behold the evening light! We praise God, the Father and Son and Holy Spirit in one. It is fitting at all times that we should praise You with gladsome voices, O Son of God, the Giver﻿ of Life. Behold, all creation sings Your glory! [..YouTube..] O, Joyful Light!O, Joyful Light! The Holy Glory of the Heavenly Father﻿ Immortal, the Holy Blessed One Jesus Christ. We come now to the hour of sunset and we behold the evening light! We praise God, the Father and Son and Holy Spirit in one. It is fitting at all times that we should praise You with gladsome voices, O Son of God, the Giver of Life. Behold, all creation sings Your glory! [..YouTube..] O, Joyful Light!O, Joyful Light! The Holy Glory of the Heavenly Father Immortal, the Holy Blessed One Jesus Christ. We come now to the hour of sunset and we behold the evening light! We praise God, the Father and Son and Holy Spirit in one. It is fitting at all times﻿ that we should praise You with gladsome voices, O Son of God, the Giver of Life. Behold, all creation sings Your glory! [..YouTube..] O, Joyful Light!O, Joyful Light! The Holy Glory of the Heavenly Father Immortal, the Holy Blessed One Jesus Christ. We come now to the hour of sunset and we behold the evening light! We praise﻿ God, the Father and Son and Holy Spirit in one. It is fitting at all times that we should praise You with gladsome voices, O Son of God, the Giver of Life. Behold, all creation sings Your glory! [..YouTube..] O, Joyful Light!O, Joyful Light! The Holy Glory of the Heavenly Father Immortal, the﻿ Holy Blessed One Jesus Christ. We come now to the hour of sunset and we behold the evening light! We praise God, the Father and Son and Holy Spirit in one. It is fitting at all times that we should praise You with gladsome voices, O Son of God, the Giver of Life. Behold, all creation sings Your glory! [..YouTube..] O, Joyful Light!O, Joyful Light! The Holy Glory of the Heavenly Father Immortal, the Holy Blessed One Jesus Christ. We come now to the hour of sunset and we﻿ behold the evening light! We praise God, the Father and Son and Holy Spirit in one. It is fitting at all times that we should praise You with gladsome voices, O Son of God, the Giver of Life. Behold, all creation sings Your glory! [..YouTube..] O, Joyful Light!O, Joyful Light! The Holy Glory of the Heavenly Father Immortal, the Holy Blessed One Jesus Christ. We come now to the hour of sunset and we behold the evening light! We praise God, the Father and Son and Holy Spirit in one. It is fitting at all﻿ times that we should praise You with gladsome voices, O Son of God, the Giver of Life. Behold, all creation sings Your glory! [..YouTube..] O, Joyful Light!O, Joyful Light!﻿ The Holy Glory of the Heavenly Father Immortal, the Holy Blessed One Jesus Christ. We come now to the hour of sunset and we behold the evening light! We praise God, the Father and Son and Holy Spirit in one. It is fitting at all times that we should praise You with gladsome voices, O Son of God, the Giver of Life. Behold, all creation sings Your glory! [..YouTube..] O, Joyful Light!O, Joyful Light! The Holy Glory of the Heavenly Father Immortal, the Holy Blessed One Jesus Christ. We come now to the hour of sunset and we behold the evening light! We praise God, the Father and Son﻿ and Holy Spirit in one. It is fitting at all times that we should praise You with gladsome voices, O Son of God, the Giver of Life. Behold, all creation sings Your glory! [..YouTube..] O, Joyful Light!O,﻿ Joyful Light! The Holy Glory of the Heavenly Father Immortal, the Holy Blessed One Jesus Christ. We come now to the hour of sunset and we behold the evening light! We praise God, the Father and Son and Holy Spirit in one. It is fitting at all times that we should praise You with gladsome voices, O Son of God, the Giver of Life. Behold, all creation sings Your glory! [..YouTube..] O, Joyful Light!O, Joyful Light! The Holy Glory of the Heavenly Father Immortal, the Holy Blessed One Jesus Christ. We come now to the hour of sunset and we behold the evening light! We praise God, the Father and Son and Holy Spirit in one. It is fitting at all times that we should praise You with gladsome voices, O Son of God, the Giver of Life. Behold, all creation sings﻿ Your glory! [..YouTube..] O, Joyful Light!O, Joyful Light! The Holy Glory of the Heavenly Father Immortal, the Holy Blessed One Jesus Christ. We come now to the hour of sunset and we behold﻿ the evening light! We praise God, the Father and Son and Holy Spirit in one. It is fitting at all times that we should praise You with gladsome voices, O Son of God, the Giver of Life. Behold, all creation sings Your glory! [..YouTube..] O, Joyful Light!O, Joyful Light! The Holy Glory of the Heavenly Father Immortal, the Holy Blessed One Jesus Christ. We come now to the hour of sunset and we behold the evening light! We praise God, the Father and Son and Holy Spirit in one. It is fitting at all times that we should praise You with gladsome voices, O Son of God, the Giver of﻿ Life. Behold, all creation sings Your glory! [..YouTube..] O, Joyful Light!O, Joyful Light! The Holy Glory of the Heavenly Father Immortal, the Holy Blessed One Jesus Christ. We come now to the hour of sunset and we behold the evening light! We praise God, the Father﻿ and Son and Holy Spirit in one. It is fitting at all times that we should praise You with gladsome voices, O Son of God, the Giver of Life. Behold, all creation sings Your glory! [..YouTube..] O, Joyful Light!O, Joyful Light! The Holy Glory of the Heavenly Father Immortal, the Holy Blessed One Jesus Christ. We come now to the hour of sunset and we behold the evening light! We praise God, the Father and Son and Holy Spirit in one. It is fitting at all times that we should praise You with gladsome voices, O Son of God, the Giver of Life. Behold, all creation sings Your glory! O, Joyful Light! The Holy Glory of the Heavenly Father Immortal, the Holy Blessed One Jesus Christ. We come now to the hour of sunset and we behold the evening light! We praise God, the Father and Son and Holy Spirit in one. It is fitting at all times that we should praise You with gladsome voices, O Son of God, the Giver of Life. Behold, all creation sings Your glory! What is the title of this beautiful hymn in English? [..YouTube..] What is the title of this beautiful hymn in﻿ English? [..YouTube..] What﻿ is the title of this beautiful hymn in English? [..YouTube..] What is the title of this﻿ beautiful hymn in English? [..YouTube..] What is﻿ the title of this beautiful hymn in English? [..YouTube..] What is the title﻿ of this beautiful hymn in English? [..YouTube..] What is the title of this beautiful hymn﻿ in English? [..YouTube..] What is the title of﻿ this beautiful hymn in English? [..YouTube..] What is the title of this beautiful﻿ hymn in English? [..YouTube..] What is the﻿ title of this beautiful hymn in English? [..YouTube..] What is the title of this beautiful hymn in English? [..YouTube..] I am looking for the Byzantine notes sheet for what you are saying,, I do know how to read it, Please is there anyway to collect notes for the HYMNS. ΦΩΣ ΙΛΑΡΟΝ ΑΓΙΑΣ ΔΟΞΗΣ ΑΘΑΝΑΤΟΥ ΠΑΤΡΟΣ ΟΥΡΑΝΙΟΥ ΑΓΙΟΥ ΜΑΚΑΡΟΣ ΙΗΣΟΥ ΧΡΙΣΤΕ ΕΛΘΟΝΤΕΣ ΕΠΙ ΤΗΝ ΗΛΙΟΥ ΔΥΣΙΝ ΙΔΟΝΤΕΣ ΦΩΣ ΕΣΠΕΡΙΟΝ, ΥΜΝΟΥΜΕΝ ΠΑΤΕΡΑ ΥΙΟ ΚΑΙ ΑΓΙΟΝ ΠΝΕΥΜΑ ΘΕΟΝ. ΑΞΙΟΝ ΣΕ ΝΕ ΠΑΣΙ ΚΑΙΡΟΙΣ ΥΜΝΕΙΣΘΑΙ ΦΩΝΑΙΣ ΑΙΣΙΑΙΣ ΥΙΕ ΘΕΟΥ ΖΩΗΝ Ο ΔΙΔΟΥΣ ΔΙΟ Ο ΚΟΣΜΟΣ ΣΕ ΔΟΞΑΖΕΙ ! [..YouTube..] ΦΩΣ ΙΛΑΡΟΝ ΑΓΙΑΣ ΔΟΞΗΣ ΑΘΑΝΑΤΟΥ ΠΑΤΡΟΣ ΟΥΡΑΝΙΟΥ ΑΓΙΟΥ ΜΑΚΑΡΟΣ ΙΗΣΟΥ ΧΡΙΣΤΕ ΕΛΘΟΝΤΕΣ ΕΠΙ ΤΗΝ ΗΛΙΟΥ ΔΥΣΙΝ ΙΔΟΝΤΕΣ ΦΩΣ ΕΣΠΕΡΙΟΝ, ΥΜΝΟΥΜΕΝ ΠΑΤΕΡΑ ΥΙΟ ΚΑΙ ΑΓΙΟΝ ΠΝΕΥΜΑ ΘΕΟΝ. ΑΞΙΟΝ ΣΕ ΝΕ ΠΑΣΙ ΚΑΙΡΟΙΣ ΥΜΝΕΙΣΘΑΙ ΦΩΝΑΙΣ ΑΙΣΙΑΙΣ ΥΙΕ ΘΕΟΥ ΖΩΗΝ Ο ΔΙΔΟΥΣ ΔΙΟ Ο ΚΟΣΜΟΣ ΣΕ ΔΟΞΑΖΕΙ ! [..YouTube..] ΦΩΣ ΙΛΑΡΟΝ ΑΓΙΑΣ ΔΟΞΗΣ ΑΘΑΝΑΤΟΥ ΠΑΤΡΟΣ ΟΥΡΑΝΙΟΥ ΑΓΙΟΥ﻿ ΜΑΚΑΡΟΣ ΙΗΣΟΥ ΧΡΙΣΤΕ ΕΛΘΟΝΤΕΣ ΕΠΙ ΤΗΝ ΗΛΙΟΥ ΔΥΣΙΝ ΙΔΟΝΤΕΣ ΦΩΣ ΕΣΠΕΡΙΟΝ, ΥΜΝΟΥΜΕΝ ΠΑΤΕΡΑ ΥΙΟ ΚΑΙ ΑΓΙΟΝ ΠΝΕΥΜΑ ΘΕΟΝ. ΑΞΙΟΝ ΣΕ ΝΕ ΠΑΣΙ ΚΑΙΡΟΙΣ ΥΜΝΕΙΣΘΑΙ﻿ ΦΩΝΑΙΣ ΑΙΣΙΑΙΣ ΥΙΕ ΘΕΟΥ ΖΩΗΝ Ο ΔΙΔΟΥΣ ΔΙΟ Ο ΚΟΣΜΟΣ ΣΕ ΔΟΞΑΖΕΙ ! [..YouTube..] ΦΩΣ ΙΛΑΡΟΝ ΑΓΙΑΣ ΔΟΞΗΣ ΑΘΑΝΑΤΟΥ ΠΑΤΡΟΣ ΟΥΡΑΝΙΟΥ ΑΓΙΟΥ ΜΑΚΑΡΟΣ ΙΗΣΟΥ ΧΡΙΣΤΕ ΕΛΘΟΝΤΕΣ ΕΠΙ ΤΗΝ ΗΛΙΟΥ ΔΥΣΙΝ ΙΔΟΝΤΕΣ ΦΩΣ ΕΣΠΕΡΙΟΝ, ΥΜΝΟΥΜΕΝ ΠΑΤΕΡΑ ΥΙΟ ΚΑΙ ΑΓΙΟΝ﻿ ΠΝΕΥΜΑ ΘΕΟΝ. ΑΞΙΟΝ ΣΕ ΝΕ ΠΑΣΙ ΚΑΙΡΟΙΣ ΥΜΝΕΙΣΘΑΙ﻿ ΦΩΝΑΙΣ ΑΙΣΙΑΙΣ ΥΙΕ ΘΕΟΥ ΖΩΗΝ Ο ΔΙΔΟΥΣ ΔΙΟ Ο ΚΟΣΜΟΣ ΣΕ ΔΟΞΑΖΕΙ ! [..YouTube..] ΦΩΣ ΙΛΑΡΟΝ ΑΓΙΑΣ ΔΟΞΗΣ ΑΘΑΝΑΤΟΥ ΠΑΤΡΟΣ ΟΥΡΑΝΙΟΥ ΑΓΙΟΥ ΜΑΚΑΡΟΣ ΙΗΣΟΥ ΧΡΙΣΤΕ ΕΛΘΟΝΤΕΣ ΕΠΙ ΤΗΝ ΗΛΙΟΥ ΔΥΣΙΝ ΙΔΟΝΤΕΣ ΦΩΣ ΕΣΠΕΡΙΟΝ, ΥΜΝΟΥΜΕΝ ΠΑΤΕΡΑ ΥΙΟ ΚΑΙ ΑΓΙΟΝ ΠΝΕΥΜΑ﻿ ΘΕΟΝ. ΑΞΙΟΝ ΣΕ ΝΕ ΠΑΣΙ ΚΑΙΡΟΙΣ ΥΜΝΕΙΣΘΑΙ﻿ ΦΩΝΑΙΣ ΑΙΣΙΑΙΣ ΥΙΕ ΘΕΟΥ ΖΩΗΝ Ο ΔΙΔΟΥΣ ΔΙΟ Ο ΚΟΣΜΟΣ ΣΕ ΔΟΞΑΖΕΙ ! [..YouTube..] ΦΩΣ ΙΛΑΡΟΝ ΑΓΙΑΣ ΔΟΞΗΣ ΑΘΑΝΑΤΟΥ ΠΑΤΡΟΣ ΟΥΡΑΝΙΟΥ ΑΓΙΟΥ ΜΑΚΑΡΟΣ ΙΗΣΟΥ﻿ ΧΡΙΣΤΕ ΕΛΘΟΝΤΕΣ ΕΠΙ ΤΗΝ ΗΛΙΟΥ ΔΥΣΙΝ ΙΔΟΝΤΕΣ ΦΩΣ ΕΣΠΕΡΙΟΝ, ΥΜΝΟΥΜΕΝ ΠΑΤΕΡΑ ΥΙΟ ΚΑΙ ΑΓΙΟΝ ΠΝΕΥΜΑ ΘΕΟΝ. ΑΞΙΟΝ ΣΕ ΝΕ ΠΑΣΙ ΚΑΙΡΟΙΣ ΥΜΝΕΙΣΘΑΙ﻿ ΦΩΝΑΙΣ ΑΙΣΙΑΙΣ ΥΙΕ ΘΕΟΥ ΖΩΗΝ Ο ΔΙΔΟΥΣ ΔΙΟ Ο ΚΟΣΜΟΣ ΣΕ ΔΟΞΑΖΕΙ ! [..YouTube..] ΦΩΣ ΙΛΑΡΟΝ ΑΓΙΑΣ ΔΟΞΗΣ ΑΘΑΝΑΤΟΥ ΠΑΤΡΟΣ ΟΥΡΑΝΙΟΥ ΑΓΙΟΥ ΜΑΚΑΡΟΣ ΙΗΣΟΥ ΧΡΙΣΤΕ ΕΛΘΟΝΤΕΣ ΕΠΙ ΤΗΝ ΗΛΙΟΥ ΔΥΣΙΝ ΙΔΟΝΤΕΣ ΦΩΣ ΕΣΠΕΡΙΟΝ, ΥΜΝΟΥΜΕΝ ΠΑΤΕΡΑ ΥΙΟ ΚΑΙ ΑΓΙΟΝ ΠΝΕΥΜΑ ΘΕΟΝ. ΑΞΙΟΝ ΣΕ ΝΕ ΠΑΣΙ ΚΑΙΡΟΙΣ ΥΜΝΕΙΣΘΑΙ﻿ ΦΩΝΑΙΣ ΑΙΣΙΑΙΣ ΥΙΕ ΘΕΟΥ ΖΩΗΝ Ο ΔΙΔΟΥΣ﻿ ΔΙΟ Ο ΚΟΣΜΟΣ ΣΕ ΔΟΞΑΖΕΙ ! [..YouTube..] ΦΩΣ ΙΛΑΡΟΝ ΑΓΙΑΣ ΔΟΞΗΣ﻿ ΑΘΑΝΑΤΟΥ ΠΑΤΡΟΣ ΟΥΡΑΝΙΟΥ ΑΓΙΟΥ ΜΑΚΑΡΟΣ ΙΗΣΟΥ ΧΡΙΣΤΕ ΕΛΘΟΝΤΕΣ ΕΠΙ ΤΗΝ ΗΛΙΟΥ ΔΥΣΙΝ ΙΔΟΝΤΕΣ ΦΩΣ ΕΣΠΕΡΙΟΝ, ΥΜΝΟΥΜΕΝ ΠΑΤΕΡΑ ΥΙΟ ΚΑΙ ΑΓΙΟΝ ΠΝΕΥΜΑ ΘΕΟΝ. ΑΞΙΟΝ ΣΕ ΝΕ ΠΑΣΙ ΚΑΙΡΟΙΣ ΥΜΝΕΙΣΘΑΙ﻿ ΦΩΝΑΙΣ ΑΙΣΙΑΙΣ ΥΙΕ ΘΕΟΥ ΖΩΗΝ Ο ΔΙΔΟΥΣ ΔΙΟ Ο ΚΟΣΜΟΣ ΣΕ ΔΟΞΑΖΕΙ ! [..YouTube..] ΦΩΣ ΙΛΑΡΟΝ ΑΓΙΑΣ ΔΟΞΗΣ ΑΘΑΝΑΤΟΥ ΠΑΤΡΟΣ ΟΥΡΑΝΙΟΥ ΑΓΙΟΥ ΜΑΚΑΡΟΣ ΙΗΣΟΥ ΧΡΙΣΤΕ ΕΛΘΟΝΤΕΣ ΕΠΙ ΤΗΝ ΗΛΙΟΥ ΔΥΣΙΝ ΙΔΟΝΤΕΣ ΦΩΣ ΕΣΠΕΡΙΟΝ, ΥΜΝΟΥΜΕΝ ΠΑΤΕΡΑ ΥΙΟ ΚΑΙ ΑΓΙΟΝ ΠΝΕΥΜΑ ΘΕΟΝ. ΑΞΙΟΝ ΣΕ ΝΕ ΠΑΣΙ ΚΑΙΡΟΙΣ ΥΜΝΕΙΣΘΑΙ﻿﻿ ΦΩΝΑΙΣ ΑΙΣΙΑΙΣ ΥΙΕ ΘΕΟΥ ΖΩΗΝ Ο ΔΙΔΟΥΣ ΔΙΟ Ο ΚΟΣΜΟΣ ΣΕ ΔΟΞΑΖΕΙ ! [..YouTube..] ΦΩΣ ΙΛΑΡΟΝ ΑΓΙΑΣ ΔΟΞΗΣ ΑΘΑΝΑΤΟΥ ΠΑΤΡΟΣ ΟΥΡΑΝΙΟΥ ΑΓΙΟΥ ΜΑΚΑΡΟΣ ΙΗΣΟΥ ΧΡΙΣΤΕ ΕΛΘΟΝΤΕΣ ΕΠΙ ΤΗΝ ΗΛΙΟΥ ΔΥΣΙΝ﻿ ΙΔΟΝΤΕΣ ΦΩΣ ΕΣΠΕΡΙΟΝ, ΥΜΝΟΥΜΕΝ ΠΑΤΕΡΑ ΥΙΟ ΚΑΙ ΑΓΙΟΝ ΠΝΕΥΜΑ ΘΕΟΝ. ΑΞΙΟΝ ΣΕ ΝΕ ΠΑΣΙ ΚΑΙΡΟΙΣ ΥΜΝΕΙΣΘΑΙ﻿ ΦΩΝΑΙΣ ΑΙΣΙΑΙΣ ΥΙΕ ΘΕΟΥ ΖΩΗΝ Ο ΔΙΔΟΥΣ ΔΙΟ Ο ΚΟΣΜΟΣ ΣΕ ΔΟΞΑΖΕΙ ! [..YouTube..] ΦΩΣ ΙΛΑΡΟΝ ΑΓΙΑΣ ΔΟΞΗΣ ΑΘΑΝΑΤΟΥ ΠΑΤΡΟΣ ΟΥΡΑΝΙΟΥ ΑΓΙΟΥ ΜΑΚΑΡΟΣ ΙΗΣΟΥ ΧΡΙΣΤΕ ΕΛΘΟΝΤΕΣ ΕΠΙ ΤΗΝ ΗΛΙΟΥ ΔΥΣΙΝ ΙΔΟΝΤΕΣ ΦΩΣ ΕΣΠΕΡΙΟΝ, ΥΜΝΟΥΜΕΝ ΠΑΤΕΡΑ ΥΙΟ ΚΑΙ ΑΓΙΟΝ ΠΝΕΥΜΑ ΘΕΟΝ. ΑΞΙΟΝ ΣΕ ΝΕ ΠΑΣΙ ΚΑΙΡΟΙΣ ΥΜΝΕΙΣΘΑΙ﻿ ΦΩΝΑΙΣ ΑΙΣΙΑΙΣ ΥΙΕ ΘΕΟΥ ΖΩΗΝ Ο﻿ ΔΙΔΟΥΣ ΔΙΟ Ο ΚΟΣΜΟΣ ΣΕ ΔΟΞΑΖΕΙ ! [..YouTube..] ΦΩΣ ΙΛΑΡΟΝ ΑΓΙΑΣ ΔΟΞΗΣ ΑΘΑΝΑΤΟΥ ΠΑΤΡΟΣ ΟΥΡΑΝΙΟΥ ΑΓΙΟΥ ΜΑΚΑΡΟΣ ΙΗΣΟΥ ΧΡΙΣΤΕ ΕΛΘΟΝΤΕΣ ΕΠΙ ΤΗΝ ΗΛΙΟΥ ΔΥΣΙΝ ΙΔΟΝΤΕΣ ΦΩΣ ΕΣΠΕΡΙΟΝ, ΥΜΝΟΥΜΕΝ ΠΑΤΕΡΑ ΥΙΟ ΚΑΙ ΑΓΙΟΝ ΠΝΕΥΜΑ ΘΕΟΝ. ΑΞΙΟΝ ΣΕ ΝΕ ΠΑΣΙ ΚΑΙΡΟΙΣ ΥΜΝΕΙΣΘΑΙ﻿ ΦΩΝΑΙΣ ΑΙΣΙΑΙΣ ΥΙΕ ΘΕΟΥ ΖΩΗΝ Ο ΔΙΔΟΥΣ ΔΙΟ Ο﻿ ΚΟΣΜΟΣ ΣΕ ΔΟΞΑΖΕΙ ! [..YouTube..] ΦΩΣ ΙΛΑΡΟΝ ΑΓΙΑΣ ΔΟΞΗΣ ΑΘΑΝΑΤΟΥ ΠΑΤΡΟΣ ΟΥΡΑΝΙΟΥ ΑΓΙΟΥ ΜΑΚΑΡΟΣ﻿ ΙΗΣΟΥ ΧΡΙΣΤΕ ΕΛΘΟΝΤΕΣ ΕΠΙ ΤΗΝ ΗΛΙΟΥ ΔΥΣΙΝ ΙΔΟΝΤΕΣ ΦΩΣ ΕΣΠΕΡΙΟΝ, ΥΜΝΟΥΜΕΝ ΠΑΤΕΡΑ ΥΙΟ ΚΑΙ ΑΓΙΟΝ ΠΝΕΥΜΑ ΘΕΟΝ. ΑΞΙΟΝ ΣΕ ΝΕ ΠΑΣΙ ΚΑΙΡΟΙΣ ΥΜΝΕΙΣΘΑΙ﻿ ΦΩΝΑΙΣ ΑΙΣΙΑΙΣ ΥΙΕ ΘΕΟΥ ΖΩΗΝ Ο ΔΙΔΟΥΣ ΔΙΟ Ο ΚΟΣΜΟΣ ΣΕ ΔΟΞΑΖΕΙ ! [..YouTube..] ΦΩΣ ΙΛΑΡΟΝ ΑΓΙΑΣ﻿ ΔΟΞΗΣ ΑΘΑΝΑΤΟΥ ΠΑΤΡΟΣ ΟΥΡΑΝΙΟΥ ΑΓΙΟΥ ΜΑΚΑΡΟΣ ΙΗΣΟΥ ΧΡΙΣΤΕ ΕΛΘΟΝΤΕΣ ΕΠΙ ΤΗΝ ΗΛΙΟΥ ΔΥΣΙΝ ΙΔΟΝΤΕΣ ΦΩΣ ΕΣΠΕΡΙΟΝ, ΥΜΝΟΥΜΕΝ ΠΑΤΕΡΑ ΥΙΟ ΚΑΙ ΑΓΙΟΝ ΠΝΕΥΜΑ ΘΕΟΝ. ΑΞΙΟΝ ΣΕ ΝΕ ΠΑΣΙ ΚΑΙΡΟΙΣ ΥΜΝΕΙΣΘΑΙ﻿ ΦΩΝΑΙΣ ΑΙΣΙΑΙΣ ΥΙΕ ΘΕΟΥ ΖΩΗΝ Ο ΔΙΔΟΥΣ ΔΙΟ Ο ΚΟΣΜΟΣ ΣΕ ΔΟΞΑΖΕΙ ! [..YouTube..] ΦΩΣ ΙΛΑΡΟΝ ΑΓΙΑΣ ΔΟΞΗΣ ΑΘΑΝΑΤΟΥ ΠΑΤΡΟΣ ΟΥΡΑΝΙΟΥ ΑΓΙΟΥ ΜΑΚΑΡΟΣ ΙΗΣΟΥ ΧΡΙΣΤΕ ΕΛΘΟΝΤΕΣ ΕΠΙ ΤΗΝ ΗΛΙΟΥ ΔΥΣΙΝ ΙΔΟΝΤΕΣ ΦΩΣ ΕΣΠΕΡΙΟΝ, ΥΜΝΟΥΜΕΝ ΠΑΤΕΡΑ ΥΙΟ ΚΑΙ ΑΓΙΟΝ ΠΝΕΥΜΑ ΘΕΟΝ. ΑΞΙΟΝ ΣΕ ΝΕ ΠΑΣΙ ΚΑΙΡΟΙΣ ΥΜΝΕΙΣΘΑΙ﻿ ΦΩΝΑΙΣ ΑΙΣΙΑΙΣ ΥΙΕ ΘΕΟΥ ΖΩΗΝ﻿ Ο ΔΙΔΟΥΣ ΔΙΟ Ο ΚΟΣΜΟΣ ΣΕ ΔΟΞΑΖΕΙ ! [..YouTube..] ΦΩΣ ΙΛΑΡΟΝ ΑΓΙΑΣ ΔΟΞΗΣ ΑΘΑΝΑΤΟΥ ΠΑΤΡΟΣ ΟΥΡΑΝΙΟΥ ΑΓΙΟΥ ΜΑΚΑΡΟΣ ΙΗΣΟΥ ΧΡΙΣΤΕ ΕΛΘΟΝΤΕΣ ΕΠΙ ΤΗΝ ΗΛΙΟΥ ΔΥΣΙΝ ΙΔΟΝΤΕΣ ΦΩΣ ΕΣΠΕΡΙΟΝ, ΥΜΝΟΥΜΕΝ ΠΑΤΕΡΑ ΥΙΟ ΚΑΙ ΑΓΙΟΝ ΠΝΕΥΜΑ ΘΕΟΝ. ΑΞΙΟΝ ΣΕ ΝΕ ΠΑΣΙ ΚΑΙΡΟΙΣ ΥΜΝΕΙΣΘΑΙ﻿ ΦΩΝΑΙΣ ΑΙΣΙΑΙΣ ΥΙΕ ΘΕΟΥ ΖΩΗΝ Ο ΔΙΔΟΥΣ ΔΙΟ Ο ΚΟΣΜΟΣ ΣΕ ΔΟΞΑΖΕΙ﻿ ! [..YouTube..] ΦΩΣ ΙΛΑΡΟΝ ΑΓΙΑΣ ΔΟΞΗΣ ΑΘΑΝΑΤΟΥ ΠΑΤΡΟΣ ΟΥΡΑΝΙΟΥ ΑΓΙΟΥ ΜΑΚΑΡΟΣ ΙΗΣΟΥ ΧΡΙΣΤΕ﻿ ΕΛΘΟΝΤΕΣ ΕΠΙ ΤΗΝ ΗΛΙΟΥ ΔΥΣΙΝ ΙΔΟΝΤΕΣ ΦΩΣ ΕΣΠΕΡΙΟΝ, ΥΜΝΟΥΜΕΝ ΠΑΤΕΡΑ ΥΙΟ ΚΑΙ ΑΓΙΟΝ ΠΝΕΥΜΑ ΘΕΟΝ. ΑΞΙΟΝ ΣΕ ΝΕ ΠΑΣΙ ΚΑΙΡΟΙΣ ΥΜΝΕΙΣΘΑΙ﻿ ΦΩΝΑΙΣ ΑΙΣΙΑΙΣ ΥΙΕ ΘΕΟΥ ΖΩΗΝ Ο ΔΙΔΟΥΣ ΔΙΟ Ο ΚΟΣΜΟΣ ΣΕ ΔΟΞΑΖΕΙ ! [..YouTube..] ΦΩΣ ΙΛΑΡΟΝ ΑΓΙΑΣ ΔΟΞΗΣ ΑΘΑΝΑΤΟΥ ΠΑΤΡΟΣ ΟΥΡΑΝΙΟΥ ΑΓΙΟΥ ΜΑΚΑΡΟΣ ΙΗΣΟΥ ΧΡΙΣΤΕ ΕΛΘΟΝΤΕΣ ΕΠΙ ΤΗΝ ΗΛΙΟΥ ΔΥΣΙΝ ΙΔΟΝΤΕΣ ΦΩΣ ΕΣΠΕΡΙΟΝ, ΥΜΝΟΥΜΕΝ ΠΑΤΕΡΑ ΥΙΟ ΚΑΙ ΑΓΙΟΝ ΠΝΕΥΜΑ ΘΕΟΝ. ΑΞΙΟΝ ΣΕ ΝΕ﻿ ΠΑΣΙ ΚΑΙΡΟΙΣ ΥΜΝΕΙΣΘΑΙ﻿ ΦΩΝΑΙΣ ΑΙΣΙΑΙΣ ΥΙΕ ΘΕΟΥ ΖΩΗΝ Ο ΔΙΔΟΥΣ ΔΙΟ Ο ΚΟΣΜΟΣ ΣΕ ΔΟΞΑΖΕΙ ! [..YouTube..] ΦΩΣ ΙΛΑΡΟΝ ΑΓΙΑΣ ΔΟΞΗΣ ΑΘΑΝΑΤΟΥ ΠΑΤΡΟΣ ΟΥΡΑΝΙΟΥ ΑΓΙΟΥ ΜΑΚΑΡΟΣ ΙΗΣΟΥ ΧΡΙΣΤΕ ΕΛΘΟΝΤΕΣ ΕΠΙ ΤΗΝ ΗΛΙΟΥ ΔΥΣΙΝ ΙΔΟΝΤΕΣ ΦΩΣ ΕΣΠΕΡΙΟΝ, ΥΜΝΟΥΜΕΝ ΠΑΤΕΡΑ ΥΙΟ﻿ ΚΑΙ ΑΓΙΟΝ ΠΝΕΥΜΑ ΘΕΟΝ. ΑΞΙΟΝ ΣΕ ΝΕ ΠΑΣΙ ΚΑΙΡΟΙΣ ΥΜΝΕΙΣΘΑΙ﻿ ΦΩΝΑΙΣ ΑΙΣΙΑΙΣ ΥΙΕ ΘΕΟΥ ΖΩΗΝ Ο ΔΙΔΟΥΣ ΔΙΟ Ο ΚΟΣΜΟΣ ΣΕ ΔΟΞΑΖΕΙ ! [..YouTube..] ΦΩΣ ΙΛΑΡΟΝ ΑΓΙΑΣ ΔΟΞΗΣ ΑΘΑΝΑΤΟΥ ΠΑΤΡΟΣ ΟΥΡΑΝΙΟΥ ΑΓΙΟΥ ΜΑΚΑΡΟΣ ΙΗΣΟΥ ΧΡΙΣΤΕ ΕΛΘΟΝΤΕΣ ΕΠΙ ΤΗΝ ΗΛΙΟΥ ΔΥΣΙΝ ΙΔΟΝΤΕΣ ΦΩΣ ΕΣΠΕΡΙΟΝ, ΥΜΝΟΥΜΕΝ ΠΑΤΕΡΑ ΥΙΟ ΚΑΙ ΑΓΙΟΝ ΠΝΕΥΜΑ ΘΕΟΝ. ΑΞΙΟΝ ΣΕ ΝΕ ΠΑΣΙ ΚΑΙΡΟΙΣ ΥΜΝΕΙΣΘΑΙ﻿ ΦΩΝΑΙΣ ΑΙΣΙΑΙΣ﻿ ΥΙΕ ΘΕΟΥ ΖΩΗΝ Ο ΔΙΔΟΥΣ ΔΙΟ Ο ΚΟΣΜΟΣ ΣΕ ΔΟΞΑΖΕΙ ! [..YouTube..] ΦΩΣ ΙΛΑΡΟΝ ΑΓΙΑΣ ΔΟΞΗΣ ΑΘΑΝΑΤΟΥ ΠΑΤΡΟΣ ΟΥΡΑΝΙΟΥ ΑΓΙΟΥ ΜΑΚΑΡΟΣ ΙΗΣΟΥ ΧΡΙΣΤΕ ΕΛΘΟΝΤΕΣ ΕΠΙ ΤΗΝ ΗΛΙΟΥ ΔΥΣΙΝ ΙΔΟΝΤΕΣ﻿ ΦΩΣ ΕΣΠΕΡΙΟΝ, ΥΜΝΟΥΜΕΝ ΠΑΤΕΡΑ ΥΙΟ ΚΑΙ ΑΓΙΟΝ ΠΝΕΥΜΑ ΘΕΟΝ. ΑΞΙΟΝ ΣΕ ΝΕ ΠΑΣΙ ΚΑΙΡΟΙΣ ΥΜΝΕΙΣΘΑΙ﻿ ΦΩΝΑΙΣ ΑΙΣΙΑΙΣ ΥΙΕ ΘΕΟΥ ΖΩΗΝ Ο ΔΙΔΟΥΣ ΔΙΟ Ο ΚΟΣΜΟΣ ΣΕ ΔΟΞΑΖΕΙ ! [..YouTube..] ΦΩΣ ΙΛΑΡΟΝ ΑΓΙΑΣ ΔΟΞΗΣ ΑΘΑΝΑΤΟΥ ΠΑΤΡΟΣ ΟΥΡΑΝΙΟΥ ΑΓΙΟΥ ΜΑΚΑΡΟΣ ΙΗΣΟΥ ΧΡΙΣΤΕ ΕΛΘΟΝΤΕΣ ΕΠΙ ΤΗΝ ΗΛΙΟΥ ΔΥΣΙΝ ΙΔΟΝΤΕΣ ΦΩΣ ΕΣΠΕΡΙΟΝ, ΥΜΝΟΥΜΕΝ ΠΑΤΕΡΑ ΥΙΟ ΚΑΙ ΑΓΙΟΝ ΠΝΕΥΜΑ ΘΕΟΝ. ΑΞΙΟΝ﻿ ΣΕ ΝΕ ΠΑΣΙ ΚΑΙΡΟΙΣ ΥΜΝΕΙΣΘΑΙ﻿ ΦΩΝΑΙΣ ΑΙΣΙΑΙΣ ΥΙΕ ΘΕΟΥ ΖΩΗΝ Ο ΔΙΔΟΥΣ ΔΙΟ Ο ΚΟΣΜΟΣ ΣΕ ΔΟΞΑΖΕΙ ! [..YouTube..] ΦΩΣ ΙΛΑΡΟΝ ΑΓΙΑΣ ΔΟΞΗΣ ΑΘΑΝΑΤΟΥ ΠΑΤΡΟΣ ΟΥΡΑΝΙΟΥ ΑΓΙΟΥ ΜΑΚΑΡΟΣ ΙΗΣΟΥ ΧΡΙΣΤΕ ΕΛΘΟΝΤΕΣ ΕΠΙ ΤΗΝ ΗΛΙΟΥ ΔΥΣΙΝ ΙΔΟΝΤΕΣ ΦΩΣ﻿ ΕΣΠΕΡΙΟΝ, ΥΜΝΟΥΜΕΝ ΠΑΤΕΡΑ ΥΙΟ ΚΑΙ ΑΓΙΟΝ ΠΝΕΥΜΑ ΘΕΟΝ. ΑΞΙΟΝ ΣΕ ΝΕ ΠΑΣΙ ΚΑΙΡΟΙΣ ΥΜΝΕΙΣΘΑΙ﻿ ΦΩΝΑΙΣ ΑΙΣΙΑΙΣ ΥΙΕ ΘΕΟΥ ΖΩΗΝ Ο ΔΙΔΟΥΣ ΔΙΟ Ο ΚΟΣΜΟΣ ΣΕ ΔΟΞΑΖΕΙ ! [..YouTube..] ΦΩΣ ΙΛΑΡΟΝ ΑΓΙΑΣ ΔΟΞΗΣ ΑΘΑΝΑΤΟΥ ΠΑΤΡΟΣ ΟΥΡΑΝΙΟΥ ΑΓΙΟΥ ΜΑΚΑΡΟΣ ΙΗΣΟΥ ΧΡΙΣΤΕ ΕΛΘΟΝΤΕΣ ΕΠΙ ΤΗΝ ΗΛΙΟΥ ΔΥΣΙΝ ΙΔΟΝΤΕΣ ΦΩΣ ΕΣΠΕΡΙΟΝ,﻿ ΥΜΝΟΥΜΕΝ ΠΑΤΕΡΑ ΥΙΟ ΚΑΙ ΑΓΙΟΝ ΠΝΕΥΜΑ ΘΕΟΝ. ΑΞΙΟΝ ΣΕ ΝΕ ΠΑΣΙ ΚΑΙΡΟΙΣ ΥΜΝΕΙΣΘΑΙ﻿ ΦΩΝΑΙΣ ΑΙΣΙΑΙΣ ΥΙΕ ΘΕΟΥ ΖΩΗΝ Ο ΔΙΔΟΥΣ ΔΙΟ Ο ΚΟΣΜΟΣ ΣΕ ΔΟΞΑΖΕΙ ! [..YouTube..] ΦΩΣ ΙΛΑΡΟΝ ΑΓΙΑΣ ΔΟΞΗΣ ΑΘΑΝΑΤΟΥ ΠΑΤΡΟΣ﻿ ΟΥΡΑΝΙΟΥ ΑΓΙΟΥ ΜΑΚΑΡΟΣ ΙΗΣΟΥ ΧΡΙΣΤΕ ΕΛΘΟΝΤΕΣ ΕΠΙ ΤΗΝ ΗΛΙΟΥ ΔΥΣΙΝ ΙΔΟΝΤΕΣ ΦΩΣ ΕΣΠΕΡΙΟΝ, ΥΜΝΟΥΜΕΝ ΠΑΤΕΡΑ ΥΙΟ ΚΑΙ ΑΓΙΟΝ ΠΝΕΥΜΑ ΘΕΟΝ. ΑΞΙΟΝ ΣΕ ΝΕ ΠΑΣΙ ΚΑΙΡΟΙΣ ΥΜΝΕΙΣΘΑΙ﻿ ΦΩΝΑΙΣ ΑΙΣΙΑΙΣ ΥΙΕ ΘΕΟΥ ΖΩΗΝ Ο ΔΙΔΟΥΣ ΔΙΟ Ο ΚΟΣΜΟΣ ΣΕ ΔΟΞΑΖΕΙ ! [..YouTube..] ΦΩΣ ΙΛΑΡΟΝ ΑΓΙΑΣ ΔΟΞΗΣ ΑΘΑΝΑΤΟΥ ΠΑΤΡΟΣ ΟΥΡΑΝΙΟΥ ΑΓΙΟΥ ΜΑΚΑΡΟΣ ΙΗΣΟΥ ΧΡΙΣΤΕ ΕΛΘΟΝΤΕΣ ΕΠΙ ΤΗΝ﻿ ΗΛΙΟΥ ΔΥΣΙΝ ΙΔΟΝΤΕΣ ΦΩΣ ΕΣΠΕΡΙΟΝ, ΥΜΝΟΥΜΕΝ ΠΑΤΕΡΑ ΥΙΟ ΚΑΙ ΑΓΙΟΝ ΠΝΕΥΜΑ ΘΕΟΝ. ΑΞΙΟΝ ΣΕ ΝΕ ΠΑΣΙ ΚΑΙΡΟΙΣ ΥΜΝΕΙΣΘΑΙ﻿ ΦΩΝΑΙΣ ΑΙΣΙΑΙΣ ΥΙΕ ΘΕΟΥ ΖΩΗΝ Ο ΔΙΔΟΥΣ ΔΙΟ Ο ΚΟΣΜΟΣ ΣΕ ΔΟΞΑΖΕΙ ! [..YouTube..] ΦΩΣ ΙΛΑΡΟΝ ΑΓΙΑΣ ΔΟΞΗΣ ΑΘΑΝΑΤΟΥ ΠΑΤΡΟΣ ΟΥΡΑΝΙΟΥ ΑΓΙΟΥ ΜΑΚΑΡΟΣ ΙΗΣΟΥ ΧΡΙΣΤΕ ΕΛΘΟΝΤΕΣ ΕΠΙ﻿ ΤΗΝ ΗΛΙΟΥ ΔΥΣΙΝ ΙΔΟΝΤΕΣ ΦΩΣ ΕΣΠΕΡΙΟΝ, ΥΜΝΟΥΜΕΝ ΠΑΤΕΡΑ ΥΙΟ ΚΑΙ ΑΓΙΟΝ ΠΝΕΥΜΑ ΘΕΟΝ. ΑΞΙΟΝ ΣΕ ΝΕ ΠΑΣΙ ΚΑΙΡΟΙΣ ΥΜΝΕΙΣΘΑΙ﻿ ΦΩΝΑΙΣ ΑΙΣΙΑΙΣ ΥΙΕ ΘΕΟΥ ΖΩΗΝ Ο ΔΙΔΟΥΣ ΔΙΟ Ο ΚΟΣΜΟΣ ΣΕ ΔΟΞΑΖΕΙ ! [..YouTube..] ΦΩΣ ΙΛΑΡΟΝ ΑΓΙΑΣ ΔΟΞΗΣ ΑΘΑΝΑΤΟΥ ΠΑΤΡΟΣ ΟΥΡΑΝΙΟΥ ΑΓΙΟΥ ΜΑΚΑΡΟΣ ΙΗΣΟΥ ΧΡΙΣΤΕ ΕΛΘΟΝΤΕΣ ΕΠΙ ΤΗΝ ΗΛΙΟΥ ΔΥΣΙΝ ΙΔΟΝΤΕΣ ΦΩΣ ΕΣΠΕΡΙΟΝ, ΥΜΝΟΥΜΕΝ ΠΑΤΕΡΑ ΥΙΟ ΚΑΙ ΑΓΙΟΝ ΠΝΕΥΜΑ ΘΕΟΝ. ΑΞΙΟΝ ΣΕ ΝΕ ΠΑΣΙ ΚΑΙΡΟΙΣ ΥΜΝΕΙΣΘΑΙ﻿ ΦΩΝΑΙΣ ΑΙΣΙΑΙΣ ΥΙΕ ΘΕΟΥ ΖΩΗΝ Ο ΔΙΔΟΥΣ ΔΙΟ Ο ΚΟΣΜΟΣ ΣΕ﻿ ΔΟΞΑΖΕΙ ! [..YouTube..] ΦΩΣ ΙΛΑΡΟΝ ΑΓΙΑΣ ΔΟΞΗΣ ΑΘΑΝΑΤΟΥ ΠΑΤΡΟΣ ΟΥΡΑΝΙΟΥ ΑΓΙΟΥ ΜΑΚΑΡΟΣ ΙΗΣΟΥ ΧΡΙΣΤΕ ΕΛΘΟΝΤΕΣ ΕΠΙ ΤΗΝ ΗΛΙΟΥ ΔΥΣΙΝ ΙΔΟΝΤΕΣ ΦΩΣ ΕΣΠΕΡΙΟΝ, ΥΜΝΟΥΜΕΝ ΠΑΤΕΡΑ ΥΙΟ ΚΑΙ ΑΓΙΟΝ ΠΝΕΥΜΑ ΘΕΟΝ. ΑΞΙΟΝ ΣΕ ΝΕ ΠΑΣΙ﻿ ΚΑΙΡΟΙΣ ΥΜΝΕΙΣΘΑΙ﻿ ΦΩΝΑΙΣ ΑΙΣΙΑΙΣ ΥΙΕ ΘΕΟΥ ΖΩΗΝ Ο ΔΙΔΟΥΣ ΔΙΟ Ο ΚΟΣΜΟΣ ΣΕ ΔΟΞΑΖΕΙ ! [..YouTube..] ΦΩΣ ΙΛΑΡΟΝ ΑΓΙΑΣ ΔΟΞΗΣ ΑΘΑΝΑΤΟΥ ΠΑΤΡΟΣ ΟΥΡΑΝΙΟΥ ΑΓΙΟΥ ΜΑΚΑΡΟΣ ΙΗΣΟΥ ΧΡΙΣΤΕ ΕΛΘΟΝΤΕΣ ΕΠΙ ΤΗΝ ΗΛΙΟΥ ΔΥΣΙΝ ΙΔΟΝΤΕΣ ΦΩΣ ΕΣΠΕΡΙΟΝ, ΥΜΝΟΥΜΕΝ ΠΑΤΕΡΑ ΥΙΟ ΚΑΙ ΑΓΙΟΝ ΠΝΕΥΜΑ ΘΕΟΝ. ΑΞΙΟΝ ΣΕ ΝΕ ΠΑΣΙ ΚΑΙΡΟΙΣ ΥΜΝΕΙΣΘΑΙ﻿ ΦΩΝΑΙΣ ΑΙΣΙΑΙΣ ΥΙΕ ΘΕΟΥ ΖΩΗΝ Ο ΔΙΔΟΥΣ ΔΙΟ Ο ΚΟΣΜΟΣ﻿ ΣΕ ΔΟΞΑΖΕΙ ! [..YouTube..] ΦΩΣ ΙΛΑΡΟΝ ΑΓΙΑΣ ΔΟΞΗΣ ΑΘΑΝΑΤΟΥ﻿ ΠΑΤΡΟΣ ΟΥΡΑΝΙΟΥ ΑΓΙΟΥ ΜΑΚΑΡΟΣ ΙΗΣΟΥ ΧΡΙΣΤΕ ΕΛΘΟΝΤΕΣ ΕΠΙ ΤΗΝ ΗΛΙΟΥ ΔΥΣΙΝ ΙΔΟΝΤΕΣ ΦΩΣ ΕΣΠΕΡΙΟΝ, ΥΜΝΟΥΜΕΝ ΠΑΤΕΡΑ ΥΙΟ ΚΑΙ ΑΓΙΟΝ ΠΝΕΥΜΑ ΘΕΟΝ. ΑΞΙΟΝ ΣΕ ΝΕ ΠΑΣΙ ΚΑΙΡΟΙΣ ΥΜΝΕΙΣΘΑΙ﻿ ΦΩΝΑΙΣ ΑΙΣΙΑΙΣ ΥΙΕ ΘΕΟΥ ΖΩΗΝ Ο ΔΙΔΟΥΣ ΔΙΟ Ο ΚΟΣΜΟΣ ΣΕ ΔΟΞΑΖΕΙ ! [..YouTube..] ΦΩΣ ΙΛΑΡΟΝ ΑΓΙΑΣ ΔΟΞΗΣ ΑΘΑΝΑΤΟΥ ΠΑΤΡΟΣ ΟΥΡΑΝΙΟΥ ΑΓΙΟΥ ΜΑΚΑΡΟΣ ΙΗΣΟΥ ΧΡΙΣΤΕ ΕΛΘΟΝΤΕΣ ΕΠΙ ΤΗΝ ΗΛΙΟΥ ΔΥΣΙΝ ΙΔΟΝΤΕΣ ΦΩΣ ΕΣΠΕΡΙΟΝ, ΥΜΝΟΥΜΕΝ ΠΑΤΕΡΑ ΥΙΟ ΚΑΙ ΑΓΙΟΝ ΠΝΕΥΜΑ ΘΕΟΝ. ΑΞΙΟΝ ΣΕ ΝΕ ΠΑΣΙ ΚΑΙΡΟΙΣ﻿ ΥΜΝΕΙΣΘΑΙ﻿ ΦΩΝΑΙΣ ΑΙΣΙΑΙΣ ΥΙΕ ΘΕΟΥ ΖΩΗΝ Ο ΔΙΔΟΥΣ ΔΙΟ Ο ΚΟΣΜΟΣ ΣΕ ΔΟΞΑΖΕΙ ! [..YouTube..] ΦΩΣ ΙΛΑΡΟΝ ΑΓΙΑΣ ΔΟΞΗΣ ΑΘΑΝΑΤΟΥ ΠΑΤΡΟΣ ΟΥΡΑΝΙΟΥ ΑΓΙΟΥ ΜΑΚΑΡΟΣ ΙΗΣΟΥ ΧΡΙΣΤΕ ΕΛΘΟΝΤΕΣ ΕΠΙ ΤΗΝ ΗΛΙΟΥ ΔΥΣΙΝ ΙΔΟΝΤΕΣ ΦΩΣ ΕΣΠΕΡΙΟΝ, ΥΜΝΟΥΜΕΝ ΠΑΤΕΡΑ ΥΙΟ ΚΑΙ ΑΓΙΟΝ ΠΝΕΥΜΑ ΘΕΟΝ. ΑΞΙΟΝ ΣΕ﻿ ΝΕ ΠΑΣΙ ΚΑΙΡΟΙΣ ΥΜΝΕΙΣΘΑΙ﻿ ΦΩΝΑΙΣ ΑΙΣΙΑΙΣ ΥΙΕ ΘΕΟΥ ΖΩΗΝ Ο ΔΙΔΟΥΣ ΔΙΟ Ο ΚΟΣΜΟΣ ΣΕ ΔΟΞΑΖΕΙ ! [..YouTube..] ΦΩΣ﻿ ΙΛΑΡΟΝ ΑΓΙΑΣ ΔΟΞΗΣ ΑΘΑΝΑΤΟΥ ΠΑΤΡΟΣ ΟΥΡΑΝΙΟΥ ΑΓΙΟΥ ΜΑΚΑΡΟΣ ΙΗΣΟΥ ΧΡΙΣΤΕ ΕΛΘΟΝΤΕΣ ΕΠΙ ΤΗΝ ΗΛΙΟΥ ΔΥΣΙΝ ΙΔΟΝΤΕΣ ΦΩΣ ΕΣΠΕΡΙΟΝ, ΥΜΝΟΥΜΕΝ ΠΑΤΕΡΑ ΥΙΟ ΚΑΙ ΑΓΙΟΝ ΠΝΕΥΜΑ ΘΕΟΝ. ΑΞΙΟΝ ΣΕ ΝΕ ΠΑΣΙ ΚΑΙΡΟΙΣ ΥΜΝΕΙΣΘΑΙ﻿ ΦΩΝΑΙΣ ΑΙΣΙΑΙΣ ΥΙΕ ΘΕΟΥ ΖΩΗΝ Ο ΔΙΔΟΥΣ ΔΙΟ Ο ΚΟΣΜΟΣ ΣΕ ΔΟΞΑΖΕΙ ! [..YouTube..] ΦΩΣ ΙΛΑΡΟΝ ΑΓΙΑΣ ΔΟΞΗΣ ΑΘΑΝΑΤΟΥ ΠΑΤΡΟΣ ΟΥΡΑΝΙΟΥ ΑΓΙΟΥ ΜΑΚΑΡΟΣ ΙΗΣΟΥ ΧΡΙΣΤΕ ΕΛΘΟΝΤΕΣ ΕΠΙ ΤΗΝ ΗΛΙΟΥ ΔΥΣΙΝ ΙΔΟΝΤΕΣ ΦΩΣ ΕΣΠΕΡΙΟΝ, ΥΜΝΟΥΜΕΝ ΠΑΤΕΡΑ ΥΙΟ ΚΑΙ﻿ ΑΓΙΟΝ ΠΝΕΥΜΑ ΘΕΟΝ. ΑΞΙΟΝ ΣΕ ΝΕ ΠΑΣΙ ΚΑΙΡΟΙΣ ΥΜΝΕΙΣΘΑΙ﻿ ΦΩΝΑΙΣ ΑΙΣΙΑΙΣ ΥΙΕ ΘΕΟΥ ΖΩΗΝ Ο ΔΙΔΟΥΣ ΔΙΟ Ο ΚΟΣΜΟΣ ΣΕ ΔΟΞΑΖΕΙ ! [..YouTube..] ΦΩΣ ΙΛΑΡΟΝ ΑΓΙΑΣ ΔΟΞΗΣ ΑΘΑΝΑΤΟΥ ΠΑΤΡΟΣ ΟΥΡΑΝΙΟΥ ΑΓΙΟΥ ΜΑΚΑΡΟΣ ΙΗΣΟΥ ΧΡΙΣΤΕ ΕΛΘΟΝΤΕΣ ΕΠΙ ΤΗΝ ΗΛΙΟΥ ΔΥΣΙΝ ΙΔΟΝΤΕΣ ΦΩΣ ΕΣΠΕΡΙΟΝ, ΥΜΝΟΥΜΕΝ ΠΑΤΕΡΑ﻿ ΥΙΟ ΚΑΙ ΑΓΙΟΝ ΠΝΕΥΜΑ ΘΕΟΝ. ΑΞΙΟΝ ΣΕ ΝΕ ΠΑΣΙ ΚΑΙΡΟΙΣ ΥΜΝΕΙΣΘΑΙ﻿ ΦΩΝΑΙΣ ΑΙΣΙΑΙΣ ΥΙΕ ΘΕΟΥ ΖΩΗΝ Ο ΔΙΔΟΥΣ ΔΙΟ Ο ΚΟΣΜΟΣ ΣΕ ΔΟΞΑΖΕΙ ! [..YouTube..] ΦΩΣ ΙΛΑΡΟΝ ΑΓΙΑΣ ΔΟΞΗΣ ΑΘΑΝΑΤΟΥ ΠΑΤΡΟΣ ΟΥΡΑΝΙΟΥ ΑΓΙΟΥ ΜΑΚΑΡΟΣ ΙΗΣΟΥ ΧΡΙΣΤΕ ΕΛΘΟΝΤΕΣ ΕΠΙ ΤΗΝ ΗΛΙΟΥ ΔΥΣΙΝ ΙΔΟΝΤΕΣ ΦΩΣ ΕΣΠΕΡΙΟΝ, ΥΜΝΟΥΜΕΝ ΠΑΤΕΡΑ ΥΙΟ ΚΑΙ ΑΓΙΟΝ ΠΝΕΥΜΑ ΘΕΟΝ.﻿ ΑΞΙΟΝ ΣΕ ΝΕ ΠΑΣΙ ΚΑΙΡΟΙΣ ΥΜΝΕΙΣΘΑΙ﻿ ΦΩΝΑΙΣ ΑΙΣΙΑΙΣ ΥΙΕ ΘΕΟΥ ΖΩΗΝ Ο ΔΙΔΟΥΣ ΔΙΟ Ο ΚΟΣΜΟΣ ΣΕ ΔΟΞΑΖΕΙ ! [..YouTube..] ΦΩΣ ΙΛΑΡΟΝ ΑΓΙΑΣ ΔΟΞΗΣ ΑΘΑΝΑΤΟΥ ΠΑΤΡΟΣ ΟΥΡΑΝΙΟΥ ΑΓΙΟΥ ΜΑΚΑΡΟΣ ΙΗΣΟΥ ΧΡΙΣΤΕ ΕΛΘΟΝΤΕΣ ΕΠΙ ΤΗΝ ΗΛΙΟΥ ΔΥΣΙΝ ΙΔΟΝΤΕΣ ΦΩΣ ΕΣΠΕΡΙΟΝ, ΥΜΝΟΥΜΕΝ ΠΑΤΕΡΑ ΥΙΟ ΚΑΙ ΑΓΙΟΝ ΠΝΕΥΜΑ ΘΕΟΝ. ΑΞΙΟΝ ΣΕ ΝΕ ΠΑΣΙ ΚΑΙΡΟΙΣ ΥΜΝΕΙΣΘΑΙ﻿ ΦΩΝΑΙΣ ΑΙΣΙΑΙΣ ΥΙΕ ΘΕΟΥ﻿ ΖΩΗΝ Ο ΔΙΔΟΥΣ ΔΙΟ Ο ΚΟΣΜΟΣ ΣΕ ΔΟΞΑΖΕΙ ! [..YouTube..] ΦΩΣ ΙΛΑΡΟΝ﻿ ΑΓΙΑΣ ΔΟΞΗΣ ΑΘΑΝΑΤΟΥ ΠΑΤΡΟΣ ΟΥΡΑΝΙΟΥ ΑΓΙΟΥ ΜΑΚΑΡΟΣ ΙΗΣΟΥ ΧΡΙΣΤΕ ΕΛΘΟΝΤΕΣ ΕΠΙ ΤΗΝ ΗΛΙΟΥ ΔΥΣΙΝ ΙΔΟΝΤΕΣ ΦΩΣ ΕΣΠΕΡΙΟΝ, ΥΜΝΟΥΜΕΝ ΠΑΤΕΡΑ ΥΙΟ ΚΑΙ ΑΓΙΟΝ ΠΝΕΥΜΑ ΘΕΟΝ. ΑΞΙΟΝ ΣΕ ΝΕ ΠΑΣΙ ΚΑΙΡΟΙΣ ΥΜΝΕΙΣΘΑΙ﻿ ΦΩΝΑΙΣ ΑΙΣΙΑΙΣ ΥΙΕ ΘΕΟΥ ΖΩΗΝ Ο ΔΙΔΟΥΣ ΔΙΟ Ο ΚΟΣΜΟΣ ΣΕ ΔΟΞΑΖΕΙ ! [..YouTube..] ΦΩΣ ΙΛΑΡΟΝ ΑΓΙΑΣ ΔΟΞΗΣ ΑΘΑΝΑΤΟΥ ΠΑΤΡΟΣ ΟΥΡΑΝΙΟΥ ΑΓΙΟΥ ΜΑΚΑΡΟΣ ΙΗΣΟΥ ΧΡΙΣΤΕ ΕΛΘΟΝΤΕΣ ΕΠΙ ΤΗΝ ΗΛΙΟΥ ΔΥΣΙΝ ΙΔΟΝΤΕΣ ΦΩΣ ΕΣΠΕΡΙΟΝ, ΥΜΝΟΥΜΕΝ﻿ ΠΑΤΕΡΑ ΥΙΟ ΚΑΙ ΑΓΙΟΝ ΠΝΕΥΜΑ ΘΕΟΝ. ΑΞΙΟΝ ΣΕ ΝΕ ΠΑΣΙ ΚΑΙΡΟΙΣ ΥΜΝΕΙΣΘΑΙ﻿ ΦΩΝΑΙΣ ΑΙΣΙΑΙΣ ΥΙΕ ΘΕΟΥ ΖΩΗΝ Ο ΔΙΔΟΥΣ ΔΙΟ Ο ΚΟΣΜΟΣ ΣΕ ΔΟΞΑΖΕΙ ! [..YouTube..] ΦΩΣ ΙΛΑΡΟΝ ΑΓΙΑΣ ΔΟΞΗΣ ΑΘΑΝΑΤΟΥ ΠΑΤΡΟΣ ΟΥΡΑΝΙΟΥ ΑΓΙΟΥ ΜΑΚΑΡΟΣ ΙΗΣΟΥ ΧΡΙΣΤΕ ΕΛΘΟΝΤΕΣ﻿ ΕΠΙ ΤΗΝ ΗΛΙΟΥ ΔΥΣΙΝ ΙΔΟΝΤΕΣ ΦΩΣ ΕΣΠΕΡΙΟΝ, ΥΜΝΟΥΜΕΝ ΠΑΤΕΡΑ ΥΙΟ ΚΑΙ ΑΓΙΟΝ ΠΝΕΥΜΑ ΘΕΟΝ. ΑΞΙΟΝ ΣΕ ΝΕ ΠΑΣΙ ΚΑΙΡΟΙΣ ΥΜΝΕΙΣΘΑΙ﻿ ΦΩΝΑΙΣ ΑΙΣΙΑΙΣ ΥΙΕ ΘΕΟΥ ΖΩΗΝ Ο ΔΙΔΟΥΣ ΔΙΟ Ο ΚΟΣΜΟΣ ΣΕ ΔΟΞΑΖΕΙ ! [..YouTube..] ΦΩΣ ΙΛΑΡΟΝ ΑΓΙΑΣ ΔΟΞΗΣ ΑΘΑΝΑΤΟΥ ΠΑΤΡΟΣ ΟΥΡΑΝΙΟΥ﻿ ΑΓΙΟΥ ΜΑΚΑΡΟΣ ΙΗΣΟΥ ΧΡΙΣΤΕ ΕΛΘΟΝΤΕΣ ΕΠΙ ΤΗΝ ΗΛΙΟΥ ΔΥΣΙΝ ΙΔΟΝΤΕΣ ΦΩΣ ΕΣΠΕΡΙΟΝ, ΥΜΝΟΥΜΕΝ ΠΑΤΕΡΑ ΥΙΟ ΚΑΙ ΑΓΙΟΝ ΠΝΕΥΜΑ ΘΕΟΝ. ΑΞΙΟΝ ΣΕ ΝΕ ΠΑΣΙ ΚΑΙΡΟΙΣ ΥΜΝΕΙΣΘΑΙ﻿ ΦΩΝΑΙΣ ΑΙΣΙΑΙΣ ΥΙΕ ΘΕΟΥ ΖΩΗΝ Ο ΔΙΔΟΥΣ ΔΙΟ Ο ΚΟΣΜΟΣ ΣΕ ΔΟΞΑΖΕΙ ! [..YouTube..] ΦΩΣ ΙΛΑΡΟΝ ΑΓΙΑΣ ΔΟΞΗΣ ΑΘΑΝΑΤΟΥ ΠΑΤΡΟΣ ΟΥΡΑΝΙΟΥ ΑΓΙΟΥ ΜΑΚΑΡΟΣ ΙΗΣΟΥ ΧΡΙΣΤΕ ΕΛΘΟΝΤΕΣ ΕΠΙ ΤΗΝ ΗΛΙΟΥ ΔΥΣΙΝ ΙΔΟΝΤΕΣ ΦΩΣ ΕΣΠΕΡΙΟΝ, ΥΜΝΟΥΜΕΝ ΠΑΤΕΡΑ ΥΙΟ ΚΑΙ ΑΓΙΟΝ ΠΝΕΥΜΑ ΘΕΟΝ. ΑΞΙΟΝ ΣΕ ΝΕ ΠΑΣΙ ΚΑΙΡΟΙΣ ΥΜΝΕΙΣΘΑΙ﻿ ΦΩΝΑΙΣ﻿ ΑΙΣΙΑΙΣ ΥΙΕ ΘΕΟΥ ΖΩΗΝ Ο ΔΙΔΟΥΣ ΔΙΟ Ο ΚΟΣΜΟΣ ΣΕ ΔΟΞΑΖΕΙ ! [..YouTube..] ΦΩΣ ΙΛΑΡΟΝ ΑΓΙΑΣ ΔΟΞΗΣ ΑΘΑΝΑΤΟΥ ΠΑΤΡΟΣ ΟΥΡΑΝΙΟΥ ΑΓΙΟΥ ΜΑΚΑΡΟΣ ΙΗΣΟΥ ΧΡΙΣΤΕ ΕΛΘΟΝΤΕΣ ΕΠΙ ΤΗΝ ΗΛΙΟΥ﻿ ΔΥΣΙΝ ΙΔΟΝΤΕΣ ΦΩΣ ΕΣΠΕΡΙΟΝ, ΥΜΝΟΥΜΕΝ ΠΑΤΕΡΑ ΥΙΟ ΚΑΙ ΑΓΙΟΝ ΠΝΕΥΜΑ ΘΕΟΝ. ΑΞΙΟΝ ΣΕ ΝΕ ΠΑΣΙ ΚΑΙΡΟΙΣ ΥΜΝΕΙΣΘΑΙ﻿ ΦΩΝΑΙΣ ΑΙΣΙΑΙΣ ΥΙΕ ΘΕΟΥ ΖΩΗΝ Ο ΔΙΔΟΥΣ ΔΙΟ Ο ΚΟΣΜΟΣ ΣΕ ΔΟΞΑΖΕΙ ! [..YouTube..] ΦΩΣ ΙΛΑΡΟΝ ΑΓΙΑΣ ΔΟΞΗΣ ΑΘΑΝΑΤΟΥ ΠΑΤΡΟΣ ΟΥΡΑΝΙΟΥ ΑΓΙΟΥ ΜΑΚΑΡΟΣ ΙΗΣΟΥ ΧΡΙΣΤΕ ΕΛΘΟΝΤΕΣ ΕΠΙ ΤΗΝ ΗΛΙΟΥ ΔΥΣΙΝ ΙΔΟΝΤΕΣ ΦΩΣ ΕΣΠΕΡΙΟΝ, ΥΜΝΟΥΜΕΝ ΠΑΤΕΡΑ ΥΙΟ ΚΑΙ ΑΓΙΟΝ ΠΝΕΥΜΑ ΘΕΟΝ. ΑΞΙΟΝ ΣΕ ΝΕ ΠΑΣΙ ΚΑΙΡΟΙΣ ΥΜΝΕΙΣΘΑΙ﻿ ΦΩΝΑΙΣ ΑΙΣΙΑΙΣ ΥΙΕ﻿ ΘΕΟΥ ΖΩΗΝ Ο ΔΙΔΟΥΣ ΔΙΟ Ο ΚΟΣΜΟΣ ΣΕ ΔΟΞΑΖΕΙ ! [..YouTube..] ΦΩΣ ΙΛΑΡΟΝ ΑΓΙΑΣ ΔΟΞΗΣ ΑΘΑΝΑΤΟΥ ΠΑΤΡΟΣ ΟΥΡΑΝΙΟΥ ΑΓΙΟΥ ΜΑΚΑΡΟΣ ΙΗΣΟΥ ΧΡΙΣΤΕ ΕΛΘΟΝΤΕΣ ΕΠΙ ΤΗΝ ΗΛΙΟΥ ΔΥΣΙΝ ΙΔΟΝΤΕΣ ΦΩΣ ΕΣΠΕΡΙΟΝ, ΥΜΝΟΥΜΕΝ ΠΑΤΕΡΑ ΥΙΟ ΚΑΙ ΑΓΙΟΝ ΠΝΕΥΜΑ ΘΕΟΝ. ΑΞΙΟΝ ΣΕ ΝΕ ΠΑΣΙ ΚΑΙΡΟΙΣ ΥΜΝΕΙΣΘΑΙ﻿ ΦΩΝΑΙΣ ΑΙΣΙΑΙΣ ΥΙΕ ΘΕΟΥ ΖΩΗΝ Ο ΔΙΔΟΥΣ ΔΙΟ﻿ Ο ΚΟΣΜΟΣ ΣΕ ΔΟΞΑΖΕΙ ! [..YouTube..] ΦΩΣ ΙΛΑΡΟΝ ΑΓΙΑΣ ΔΟΞΗΣ ΑΘΑΝΑΤΟΥ ΠΑΤΡΟΣ ΟΥΡΑΝΙΟΥ ΑΓΙΟΥ ΜΑΚΑΡΟΣ ΙΗΣΟΥ ΧΡΙΣΤΕ ΕΛΘΟΝΤΕΣ ΕΠΙ ΤΗΝ ΗΛΙΟΥ ΔΥΣΙΝ ΙΔΟΝΤΕΣ ΦΩΣ ΕΣΠΕΡΙΟΝ, ΥΜΝΟΥΜΕΝ ΠΑΤΕΡΑ ΥΙΟ ΚΑΙ ΑΓΙΟΝ ΠΝΕΥΜΑ ΘΕΟΝ. ΑΞΙΟΝ ΣΕ ΝΕ ΠΑΣΙ ΚΑΙΡΟΙΣ ΥΜΝΕΙΣΘΑΙ﻿ ΦΩΝΑΙΣ ΑΙΣΙΑΙΣ ΥΙΕ ΘΕΟΥ ΖΩΗΝ Ο ΔΙΔΟΥΣ ΔΙΟ Ο ΚΟΣΜΟΣ ΣΕ ΔΟΞΑΖΕΙ ! Our God is not the same As their God. Our God is the Holy Trinity FATHER SON AND HOLY SPIRIT our Savior LORD JESUS CHRIST. [..YouTube..] Our God﻿ is not the same As their God. Our God is the Holy Trinity FATHER SON AND HOLY SPIRIT our Savior LORD JESUS CHRIST. [..YouTube..] Our God is not the same As their﻿ God. Our God is the Holy Trinity FATHER SON AND HOLY SPIRIT our Savior LORD JESUS CHRIST. [..YouTube..] Our God is not the same As their God. Our God﻿ is the Holy Trinity FATHER SON AND HOLY SPIRIT our Savior LORD JESUS CHRIST. [..YouTube..] Our God is not the same As their God. Our God is the Holy﻿ Trinity FATHER SON AND HOLY SPIRIT our Savior LORD JESUS CHRIST. [..YouTube..] Our God is not the same As their God. Our God is the Holy Trinity FATHER SON AND HOLY SPIRIT our Savior﻿ LORD JESUS CHRIST. [..YouTube..] Our God is not the same As their God. Our God is the Holy Trinity FATHER SON﻿ AND HOLY SPIRIT our Savior LORD JESUS CHRIST. [..YouTube..] Our God is not the same As their God. Our God is the﻿ Holy Trinity FATHER SON AND HOLY SPIRIT our Savior LORD JESUS CHRIST. [..YouTube..] Our God is not the same As their God. Our God is the Holy Trinity﻿ FATHER SON AND HOLY SPIRIT our Savior LORD JESUS CHRIST. [..YouTube..] Our God is not the same As their God. Our God is the Holy Trinity FATHER SON AND HOLY SPIRIT our Savior LORD JESUS﻿ CHRIST. [..YouTube..] Our God is not the same As their God. Our God is the Holy Trinity FATHER SON AND HOLY SPIRIT our﻿ Savior LORD JESUS CHRIST. [..YouTube..] Our God is not the same As﻿ their God. Our God is the Holy Trinity FATHER SON AND HOLY SPIRIT our Savior LORD JESUS CHRIST. [..YouTube..] Our God is not the same As their God. Our﻿ God is the Holy Trinity FATHER SON AND HOLY SPIRIT our Savior LORD JESUS CHRIST. [..YouTube..] Our God is not the same As their God. Our God is the Holy Trinity FATHER SON AND HOLY SPIRIT﻿ our Savior LORD JESUS CHRIST. [..YouTube..] Our God is not the same As their God. Our God is the Holy Trinity FATHER SON AND﻿ HOLY SPIRIT our Savior LORD JESUS CHRIST. [..YouTube..] Our God is not the same﻿ As their God. Our God is the Holy Trinity FATHER SON AND HOLY SPIRIT our Savior LORD JESUS CHRIST. [..YouTube..] Our﻿ God is not the same As their God. Our God is the Holy Trinity FATHER SON AND HOLY SPIRIT our Savior LORD JESUS CHRIST. [..YouTube..] Our God is not the same As their God. Our God is the Holy Trinity FATHER﻿ SON AND HOLY SPIRIT our Savior LORD JESUS CHRIST. [..YouTube..] Our God is not the same As their God.﻿ Our God is the Holy Trinity FATHER SON AND HOLY SPIRIT our Savior LORD JESUS CHRIST. [..YouTube..] Our God is not the same As their God. Our God is the Holy Trinity FATHER SON AND HOLY﻿ SPIRIT our Savior LORD JESUS CHRIST. [..YouTube..] Our God is not the same As their God. Our God is﻿ the Holy Trinity FATHER SON AND HOLY SPIRIT our Savior LORD JESUS CHRIST. [..YouTube..] Our God is﻿ not the same As their God. Our God is the Holy Trinity FATHER SON AND HOLY SPIRIT our Savior LORD JESUS CHRIST. [..YouTube..] Our God is not the﻿ same As their God. Our God is the Holy Trinity FATHER SON AND HOLY SPIRIT our Savior LORD JESUS CHRIST. [..YouTube..] Our God is not the same As their God. Our God is the Holy Trinity FATHER SON AND HOLY SPIRIT ﻿ our Savior LORD JESUS CHRIST. [..YouTube..] Our God is not﻿ the same As their God. Our God is the Holy Trinity FATHER SON AND HOLY SPIRIT our Savior LORD JESUS CHRIST. [..YouTube..] Our God is not the same As their God. Our God is the Holy Trinity FATHER SON AND HOLY SPIRIT our Savior LORD﻿ JESUS CHRIST. [..YouTube..] Our God is not the same As their God. Our God is the Holy Trinity FATHER SON AND HOLY SPIRIT our Savior LORD JESUS CHRIST. [..YouTube..] Our God is not the same As their God. Our God is the Holy Trinity FATHER SON AND HOLY SPIRIT our Savior LORD JESUS CHRIST. [..YouTube..] einai thelima theou oi papades na odigoun poluteloi﻿ amaksia. MIN EMPODIZETE TON LOGO TOU THEOU giati…. [..YouTube..] einai thelima theou oi papades na﻿ odigoun poluteloi amaksia. MIN EMPODIZETE TON LOGO TOU THEOU giati…. [..YouTube..] einai thelima theou oi papades﻿ na odigoun poluteloi amaksia. MIN EMPODIZETE TON LOGO TOU THEOU giati…. [..YouTube..] einai thelima theou oi papades na odigoun poluteloi amaksia. MIN EMPODIZETE TON LOGO TOU﻿ THEOU giati…. [..YouTube..] einai thelima theou oi﻿ papades na odigoun poluteloi amaksia. MIN EMPODIZETE TON LOGO TOU THEOU giati…. [..YouTube..] einai thelima theou oi papades na odigoun poluteloi amaksia.﻿ MIN EMPODIZETE TON LOGO TOU THEOU giati…. [..YouTube..] einai thelima theou oi papades na odigoun﻿ poluteloi amaksia. MIN EMPODIZETE TON LOGO TOU THEOU giati…. [..YouTube..] einai thelima theou oi papades na odigoun poluteloi amaksia. MIN EMPODIZETE﻿ TON LOGO TOU THEOU giati…. [..YouTube..] einai thelima﻿ theou oi papades na odigoun poluteloi amaksia. MIN EMPODIZETE TON LOGO TOU THEOU giati…. [..YouTube..] einai thelima theou oi papades na odigoun poluteloi amaksia. MIN EMPODIZETE TON LOGO﻿ TOU THEOU giati…. [..YouTube..] einai thelima theou oi papades na odigoun poluteloi amaksia. MIN EMPODIZETE TON LOGO TOU THEOU﻿ giati…. [..YouTube..] einai﻿ thelima theou oi papades na odigoun poluteloi amaksia. MIN EMPODIZETE TON LOGO TOU THEOU giati…. [..YouTube..] einai thelima theou oi papades na odigoun poluteloi amaksia. MIN EMPODIZETE TON﻿ LOGO TOU THEOU giati…. [..YouTube..] einai thelima theou oi papades na odigoun poluteloi amaksia. MIN﻿ EMPODIZETE TON LOGO TOU THEOU giati…. [..YouTube..] einai thelima theou﻿ oi papades na odigoun poluteloi amaksia. MIN EMPODIZETE TON LOGO TOU THEOU giati…. [..YouTube..] einai thelima theou oi papades na odigoun poluteloi amaksia. MIN EMPODIZETE TON LOGO TOU THEOU giati…. [..YouTube..] The Muslims are not infidels. This is why we﻿ will always be at war because this is what we think of our neighbours. They, as we, worship Almighty God so how can they be looked upon as dogs? [..YouTube..] The Muslims are not infidels. This is why﻿ we will always be at war because this is what we think of our neighbours. They, as we, worship Almighty God so how can they be looked upon as dogs? [..YouTube..] The Muslims are not infidels. This is why we will always be at war because this is what we think of our neighbours. They, as we, worship Almighty God so how can﻿ they be looked upon as dogs? [..YouTube..] The Muslims are not infidels. This is why we will always be at﻿ war because this is what we think of our neighbours. They, as we, worship Almighty God so how can they be looked upon as dogs? [..YouTube..] The Muslims are not infidels. This is why we will always be﻿ at war because this is what we think of our neighbours. They, as we, worship Almighty God so how can they be looked upon as dogs? [..YouTube..] The Muslims are not infidels. This is why we will always be at war because this is what we think of our neighbours. They,﻿ as we, worship Almighty God so how can they be looked upon as dogs? [..YouTube..] The Muslims are not infidels. This﻿ is why we will always be at war because this is what we think of our neighbours. They, as we, worship Almighty God so how can they be looked upon as dogs? [..YouTube..] The Muslims are not infidels. This is why we will always be at war because this is what we think of our neighbours. They, as we,﻿ worship Almighty God so how can they be looked upon as dogs? [..YouTube..] The Muslims are not infidels. This is why we will always be at war because this is what we think of our neighbours. They, as﻿ we, worship Almighty God so how can they be looked upon as dogs? [..YouTube..] The Muslims are not infidels. This is why we will always be at war because﻿ this is what we think of our neighbours. They, as we, worship Almighty God so how can they be looked upon as dogs? [..YouTube..] The Muslims are not infidels. This is why we will always be at war because this is what we think of our neighbours. They, as we, worship Almighty God so how can they be looked upon as﻿ dogs? [..YouTube..] The Muslims are﻿ not infidels. This is why we will always be at war because this is what we think of our neighbours. They, as we, worship Almighty God so how can they be looked upon as dogs? [..YouTube..] The Muslims are not﻿ infidels. This is why we will always be at war because this is what we think of our neighbours. They, as we, worship Almighty God so how can they be looked upon as dogs? [..YouTube..] The Muslims are not infidels. This is why we will always be at war because this is what we think of our neighbours. They, as we, worship﻿ Almighty God so how can they be looked upon as dogs? [..YouTube..] The Muslims are not infidels. This is why we will﻿ always be at war because this is what we think of our neighbours. They, as we, worship Almighty God so how can they be looked upon as dogs? [..YouTube..] The Muslims are not infidels. This is why we will always be at war because this is what﻿ we think of our neighbours. They, as we, worship Almighty God so how can they be looked upon as dogs? [..YouTube..] The Muslims are not infidels. This is why we will always be at war because this is what we think of our neighbours. They, as we, worship Almighty God so how can they﻿ be looked upon as dogs? [..YouTube..] The Muslims are not infidels. This is why we will always be at war because this is﻿ what we think of our neighbours. They, as we, worship Almighty God so how can they be looked upon as dogs? [..YouTube..] The﻿ Muslims are not infidels. This is why we will always be at war because this is what we think of our neighbours. They, as we, worship Almighty God so how can they be looked upon as dogs? [..YouTube..] The Muslims are not infidels. This is why we will always be at war because this﻿ is what we think of our neighbours. They, as we, worship Almighty God so how can they be looked upon as dogs? [..YouTube..] The Muslims are not infidels.﻿ This is why we will always be at war because this is what we think of our neighbours. They, as we, worship Almighty God so how can they be looked upon as dogs? [..YouTube..] The Muslims are not infidels. This is why we will always be at war because this is what we think﻿ of our neighbours. They, as we, worship Almighty God so how can they be looked upon as dogs? [..YouTube..] The Muslims are not infidels. This is﻿ why we will always be at war because this is what we think of our neighbours. They, as we, worship Almighty God so how can they be looked upon as dogs? [..YouTube..] The Muslims are not infidels. This is why we will always be at war because this is what we think of our neighbours. They, as we, worship Almighty God so how can they be looked upon﻿ as dogs? [..YouTube..] The Muslims are not infidels. This is why we will always be at war because this is what we think of our neighbours. They, as we, worship Almighty God so﻿ how can they be looked upon as dogs? [..YouTube..] The Muslims are not infidels. This is why we will always be at war because this is what we think of our neighbours. They, as we, worship Almighty God so how can they be looked﻿ upon as dogs? [..YouTube..] The Muslims are not infidels. This is why we will always be at war because this is what we think of our neighbours. They, as we, worship Almighty God so how can they be﻿ looked upon as dogs? [..YouTube..] The Muslims are not infidels. This is why we will always be at war﻿ because this is what we think of our neighbours. They, as we, worship Almighty God so how can they be looked upon as dogs? [..YouTube..] The Muslims are not infidels. This is why we will always be at war because this is what we﻿ think of our neighbours. They, as we, worship Almighty God so how can they be looked upon as dogs? [..YouTube..] The Muslims are not infidels. This is why we will always be at war because this is what we think of our﻿ neighbours. They, as we, worship Almighty God so how can they be looked upon as dogs? [..YouTube..] The Muslims are not infidels. This is why we will always﻿ be at war because this is what we think of our neighbours. They, as we, worship Almighty God so how can they be looked upon as dogs? [..YouTube..] The Muslims are not infidels. This is why we will always be at war because this is what we think of our neighbours. They, as we, worship Almighty God so how﻿ can they be looked upon as dogs? [..YouTube..] The Muslims﻿ are not infidels. This is why we will always be at war because this is what we think of our neighbours. They, as we, worship Almighty God so how can they be looked upon as dogs? [..YouTube..] The Muslims are not infidels. This is why we will always be at war because this is what we think of﻿ our neighbours. They, as we, worship Almighty God so how can they be looked upon as dogs? [..YouTube..] The Muslims are not infidels. This is why we will always be at war because this is what we think of our neighbours. They, as we, worship Almighty God﻿ so how can they be looked upon as dogs? [..YouTube..] The Muslims are not infidels. This is why we will always be at war because this is what we think of our neighbours.﻿ They, as we, worship Almighty God so how can they be looked upon as dogs? [..YouTube..] The Muslims are not infidels. This is why we will always be at war because this is what we think of our neighbours. They, as we, worship Almighty﻿ God so how can they be looked upon as dogs? [..YouTube..] The Muslims are not infidels. This is why we will always be at war because this is what we think of our neighbours. They, as we, worship Almighty God so how can they be looked upon as dogs? God, return to us the Hagia Sophia from the infidels! [..YouTube..] God, return to us the Hagia﻿ Sophia from the infidels! [..YouTube..] God, return to us the Hagia Sophia﻿ from the infidels! [..YouTube..] God, return to us the Hagia Sophia from﻿ the infidels! [..YouTube..] God, return to us﻿ the Hagia Sophia from the infidels! [..YouTube..] God, return to﻿ us the Hagia Sophia from the infidels! [..YouTube..] God, return to us the﻿ Hagia Sophia from the infidels! [..YouTube..] God,﻿ return to us the Hagia Sophia from the infidels! [..YouTube..] God, return to us the Hagia Sophia from the﻿ infidels! [..YouTube..] God, return﻿ to us the Hagia Sophia from the infidels! [..YouTube..] God, return to us the Hagia Sophia from the infidels! [..YouTube..] Epeidi holoi schedon gnorizoun to TI tha grapso EAN grapso, DEN tha to grapso. μπράβο, συγχαρητήρια!Θα χαίρεται ο Σακελλαρίδης!!! [..YouTube..] μπράβο, συγχαρητήρια!Θα χαίρεται﻿ ο Σακελλαρίδης!!! [..YouTube..] μπράβο, συγχαρητήρια!Θα﻿ χαίρεται ο Σακελλαρίδης!!! [..YouTube..] μπράβο,﻿ συγχαρητήρια!Θα χαίρεται ο Σακελλαρίδης!!! [..YouTube..] μπράβο, συγχαρητήρια!Θα χαίρεται ο﻿ Σακελλαρίδης!!! [..YouTube..] μπράβο, συγχαρητήρια!Θα χαίρεται ο Σακελλαρίδης!! !